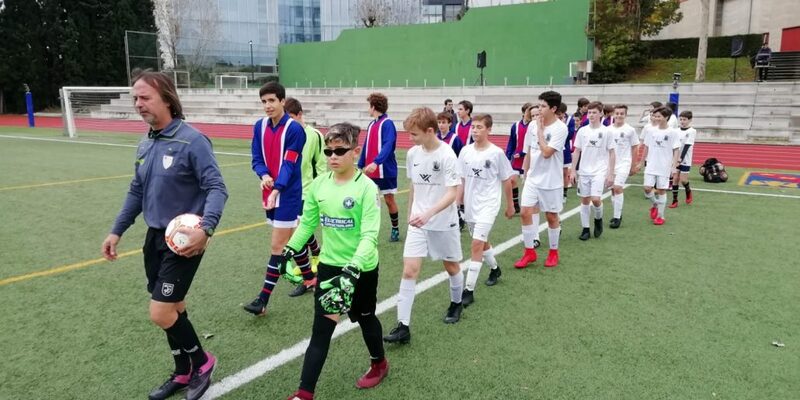 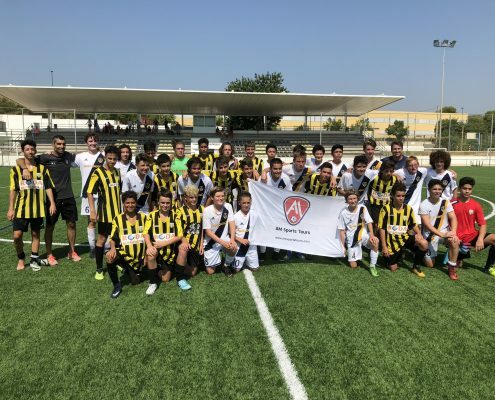 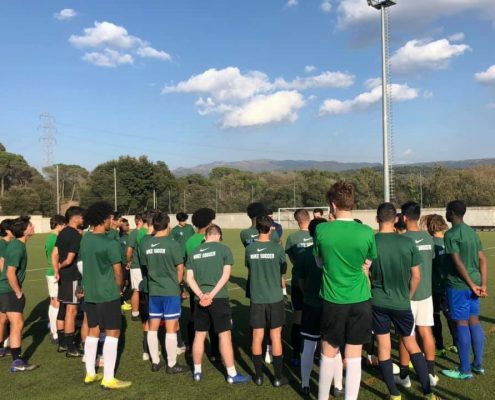 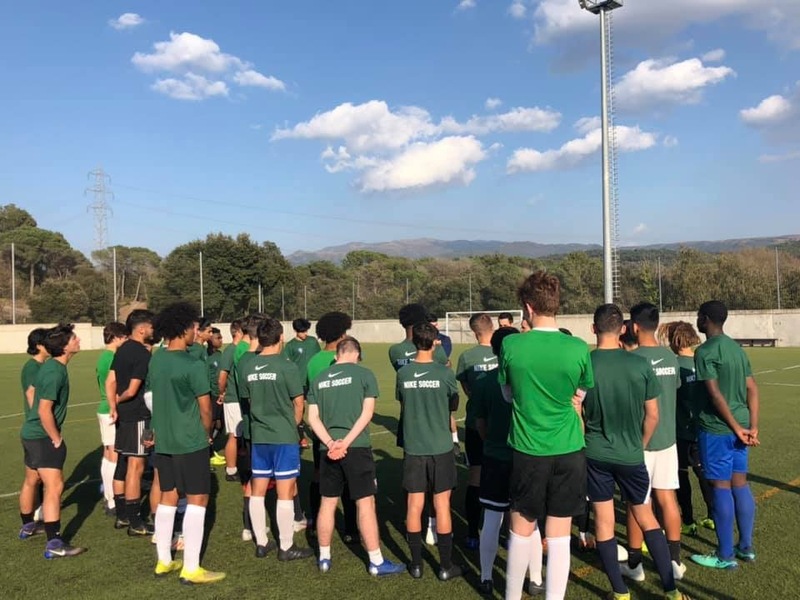 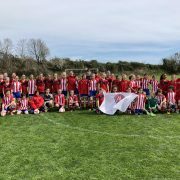 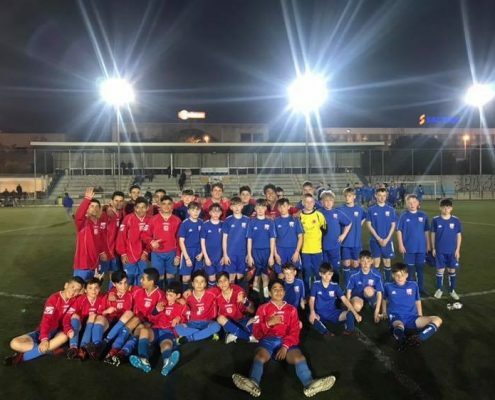 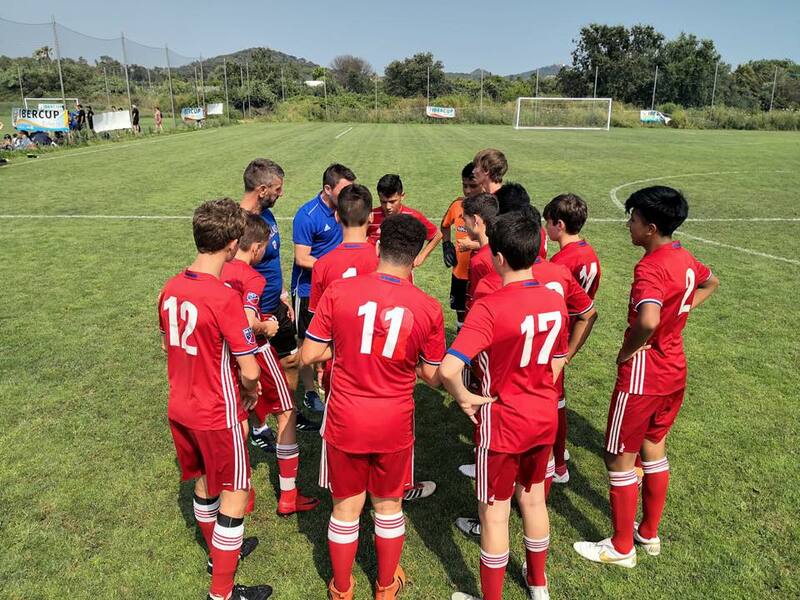 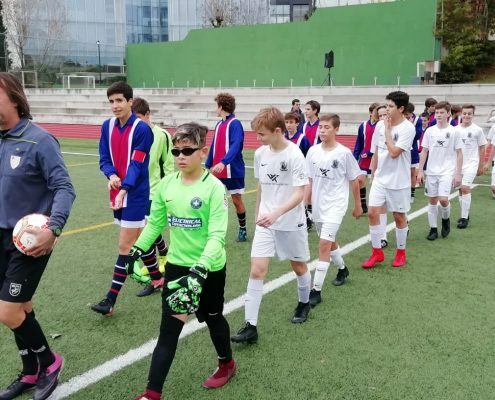 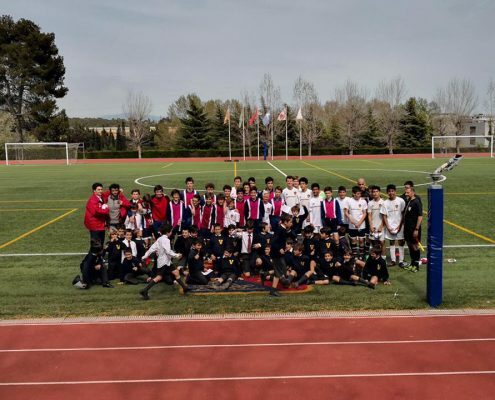 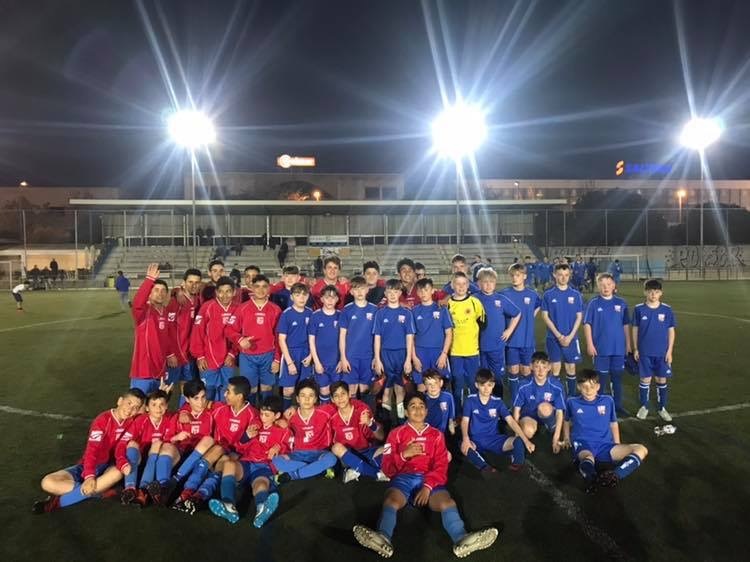 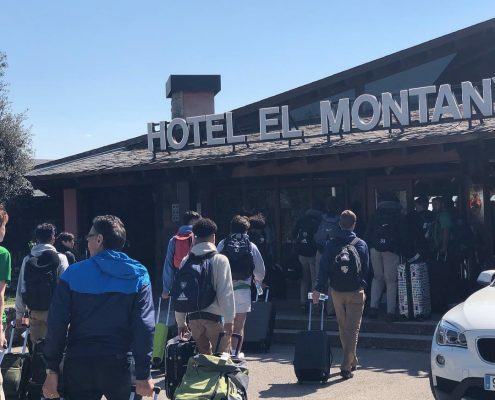 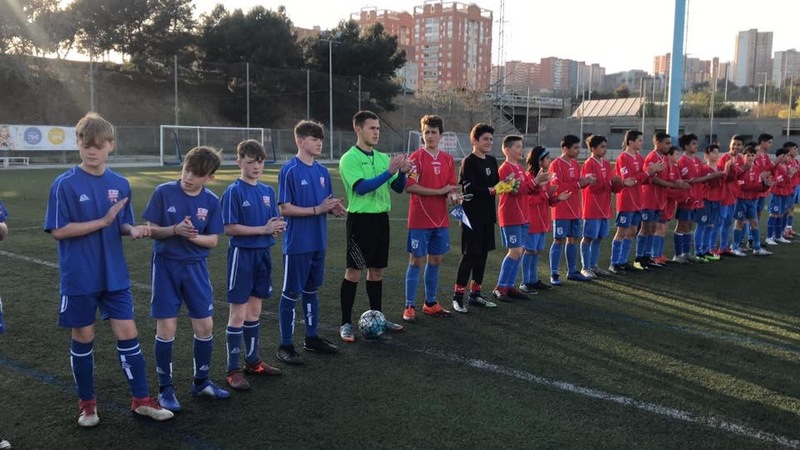 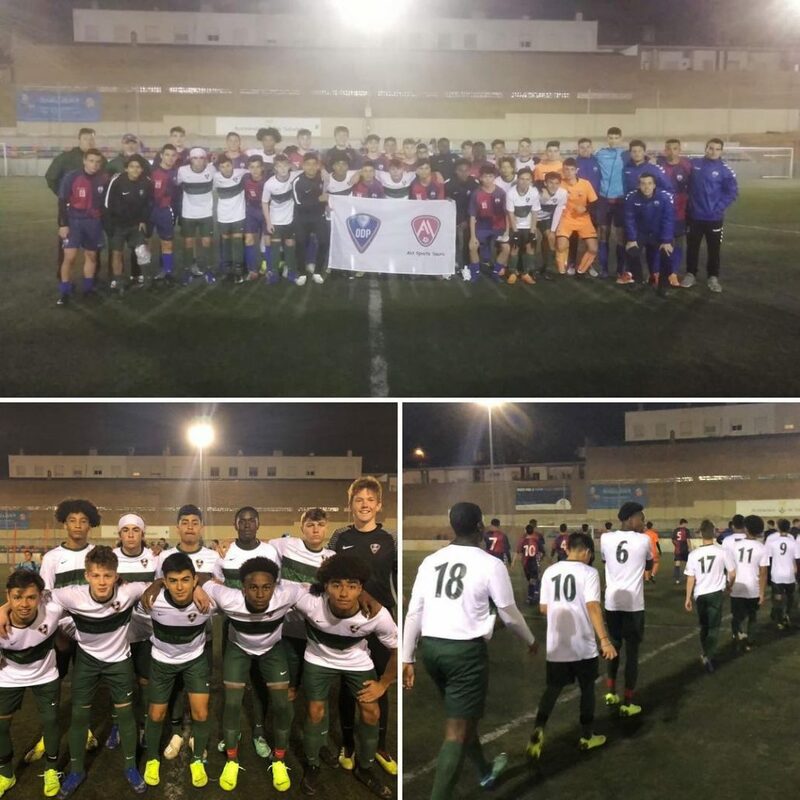 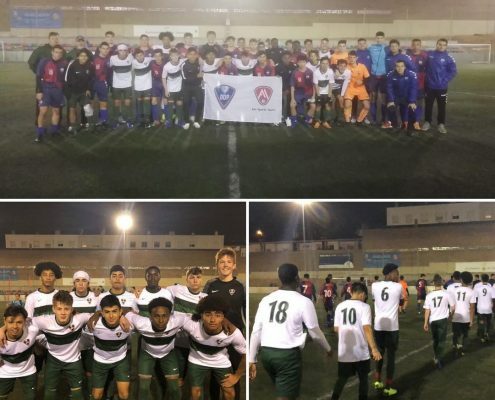 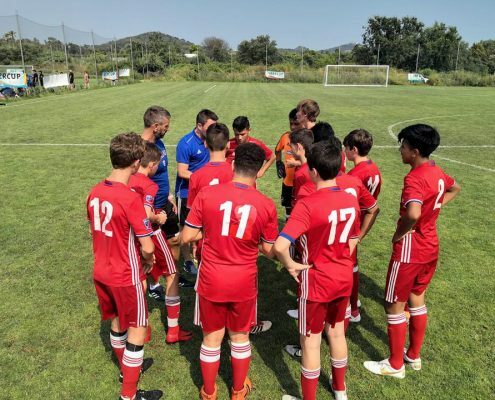 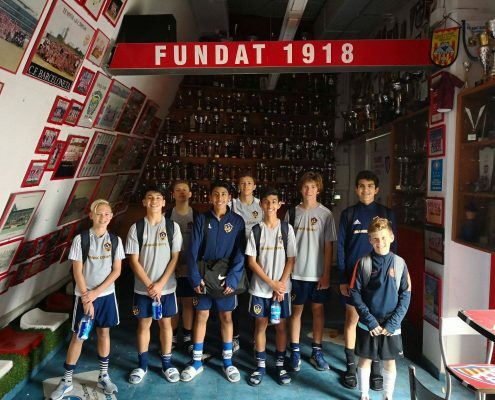 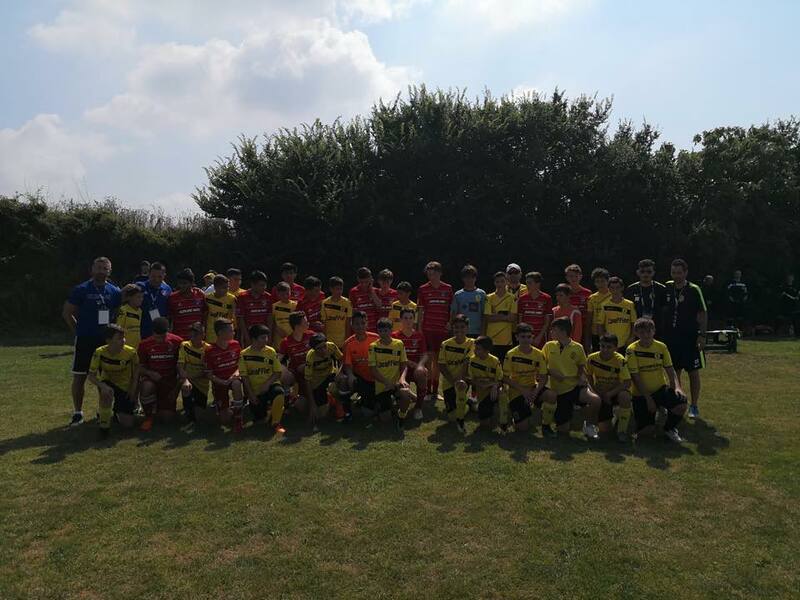 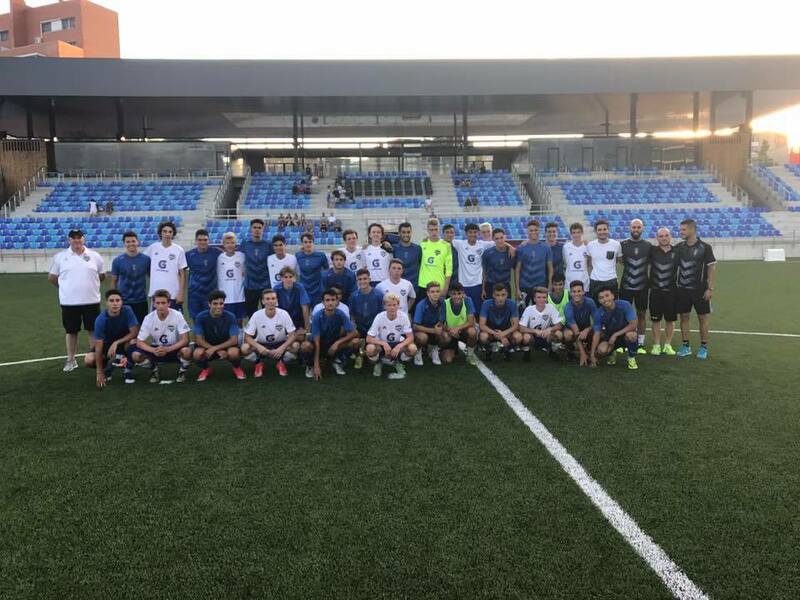 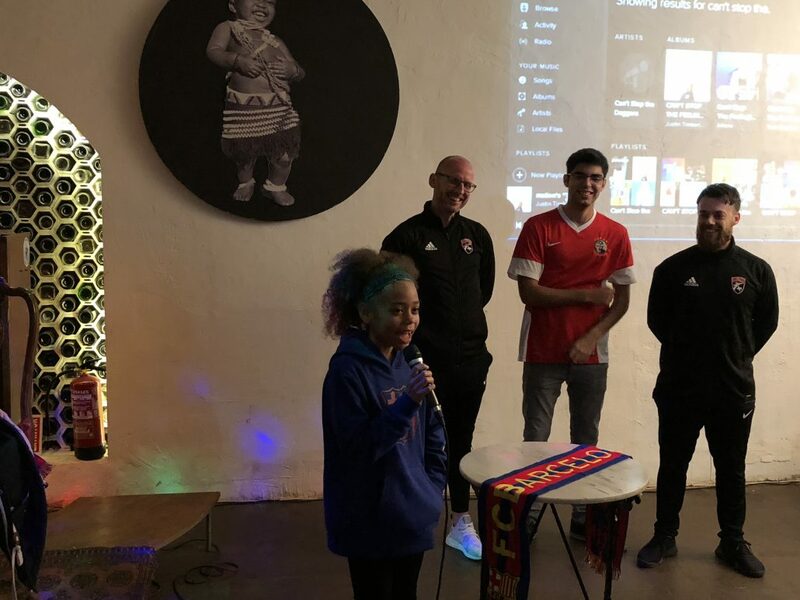 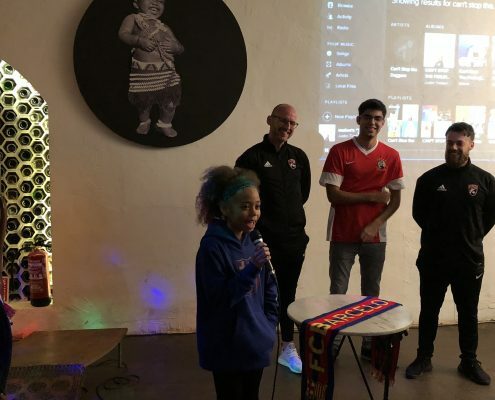 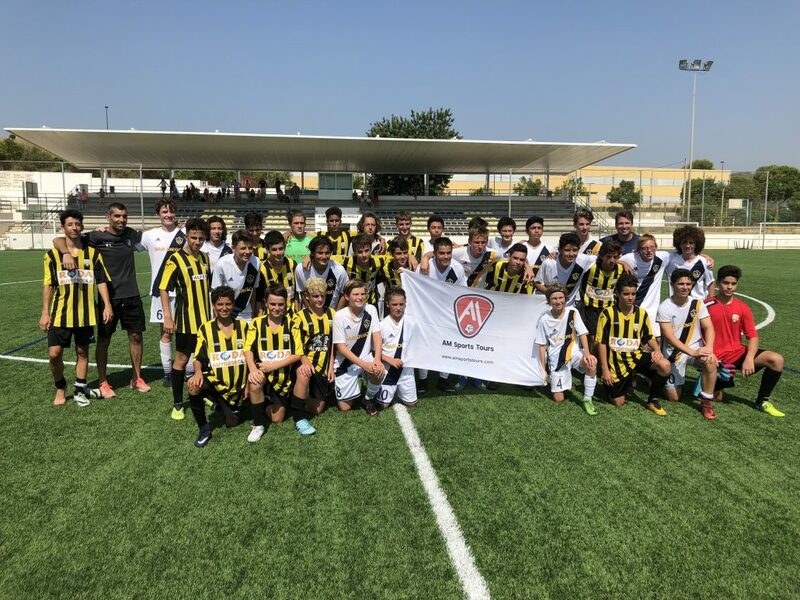 In the month of March, ODP (Olympic Development program Region III), from the USA, visited us, two teams of players from the south-east of the country. 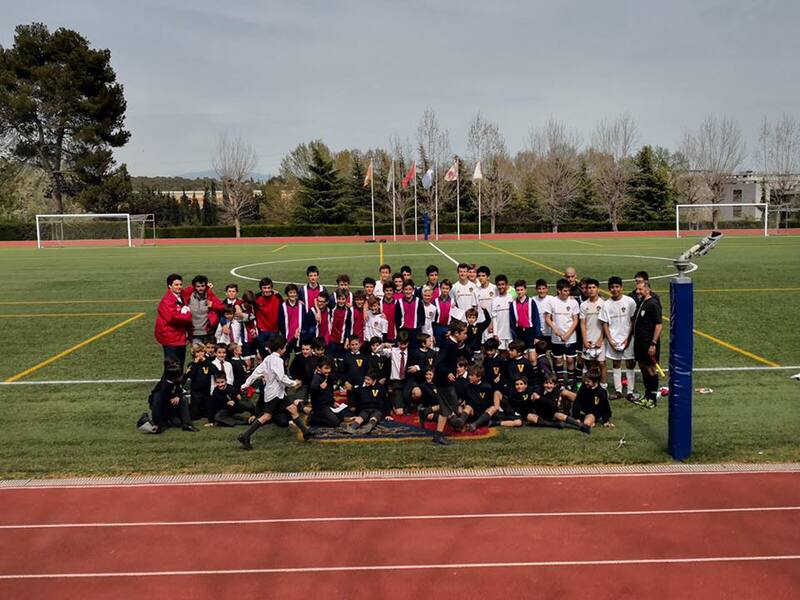 One composed by boys of 2002 and another with boys born in 2003. 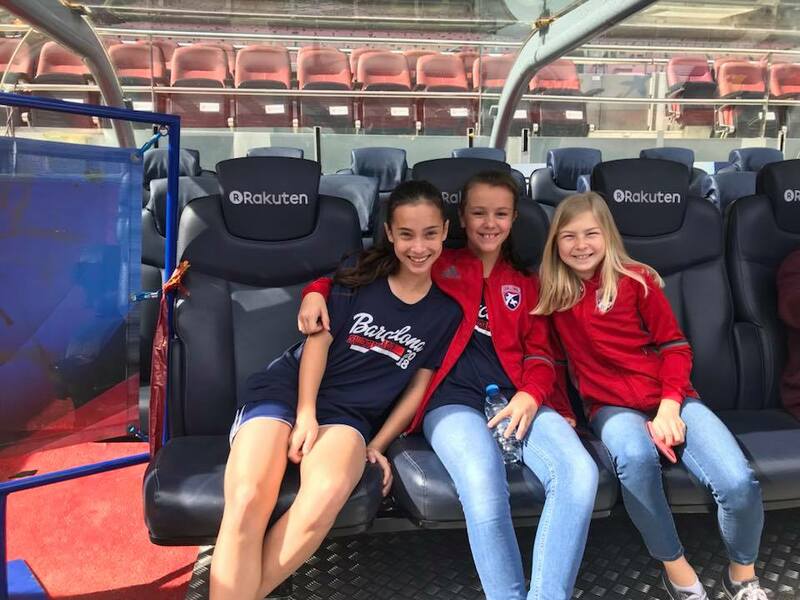 Of the best of American soccer. 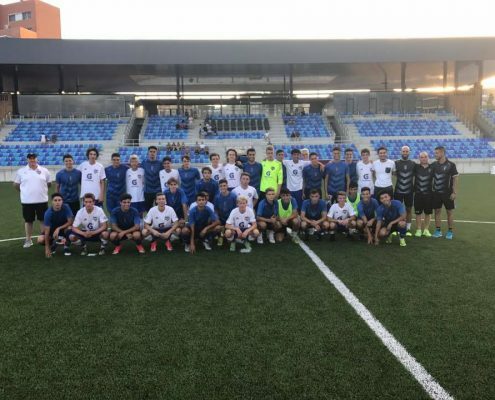 A total of 40 players. 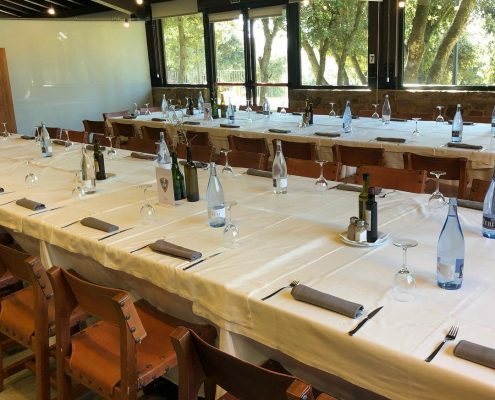 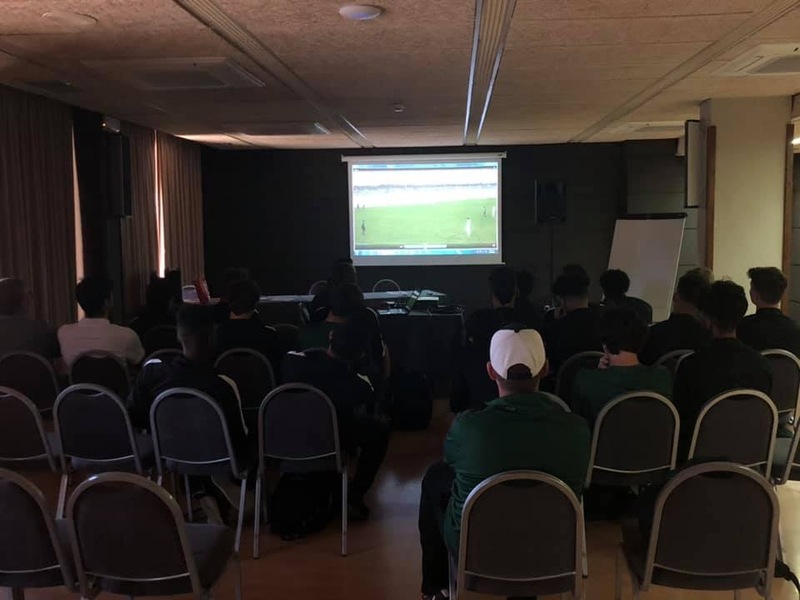 The tour was divided into two parts: 5 intense days in the high performance center of El Montanyà, where different sections of FC Barcelona carry out stages and pre-seasons. 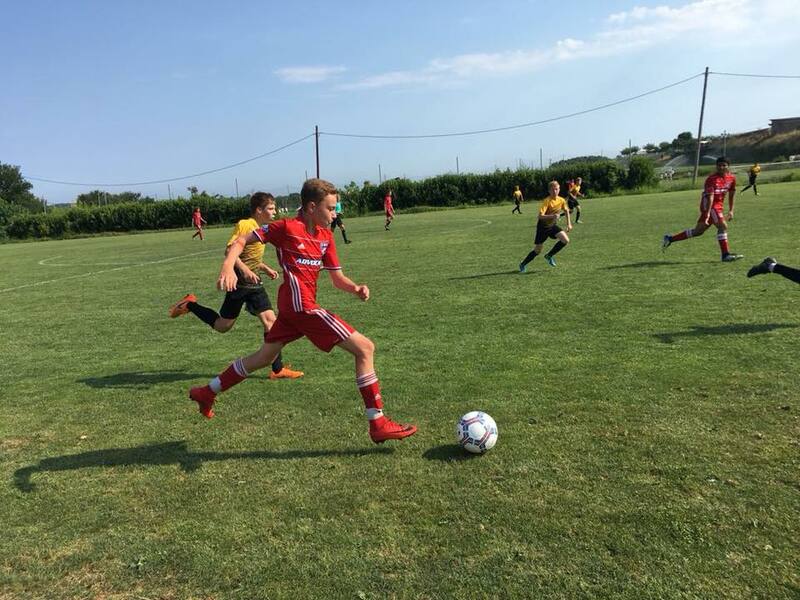 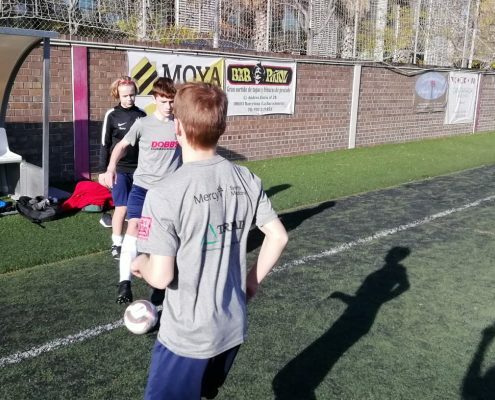 These days focused on intense training with double session, tactical work with video and invisible training of the highest quality (rest and adequate food). 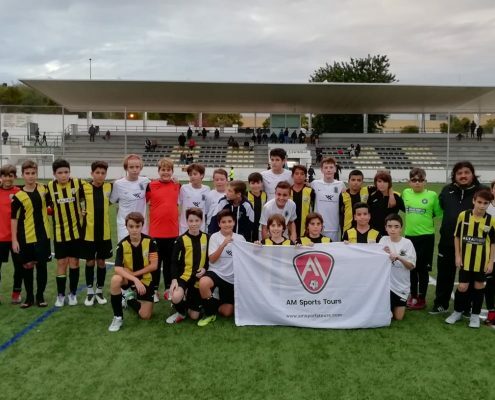 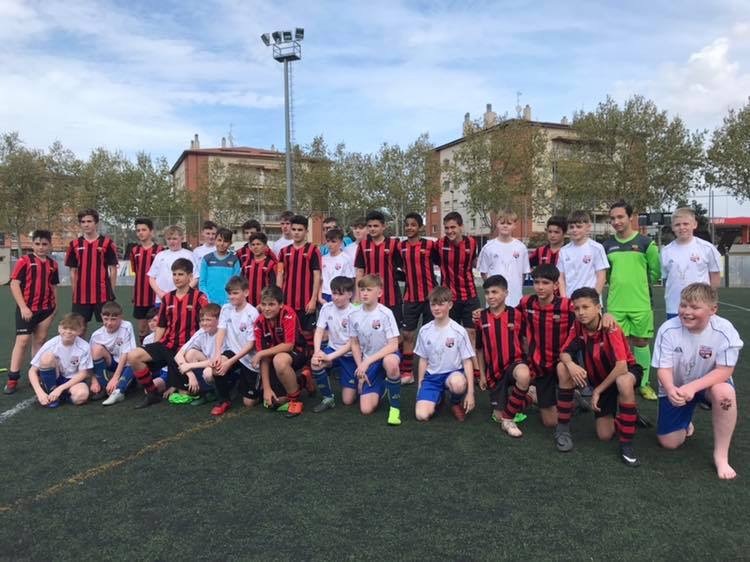 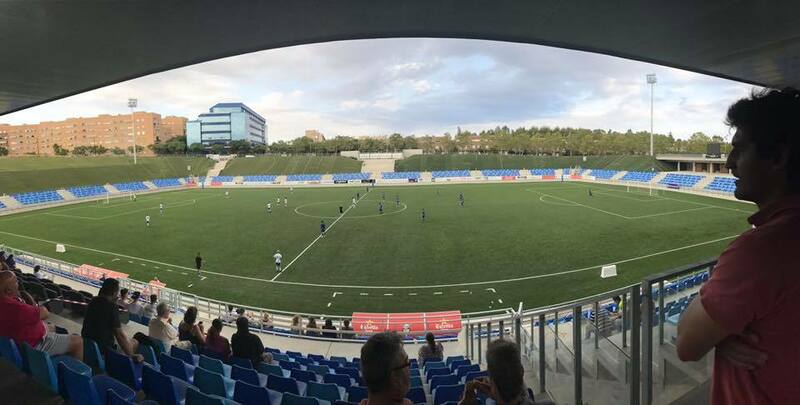 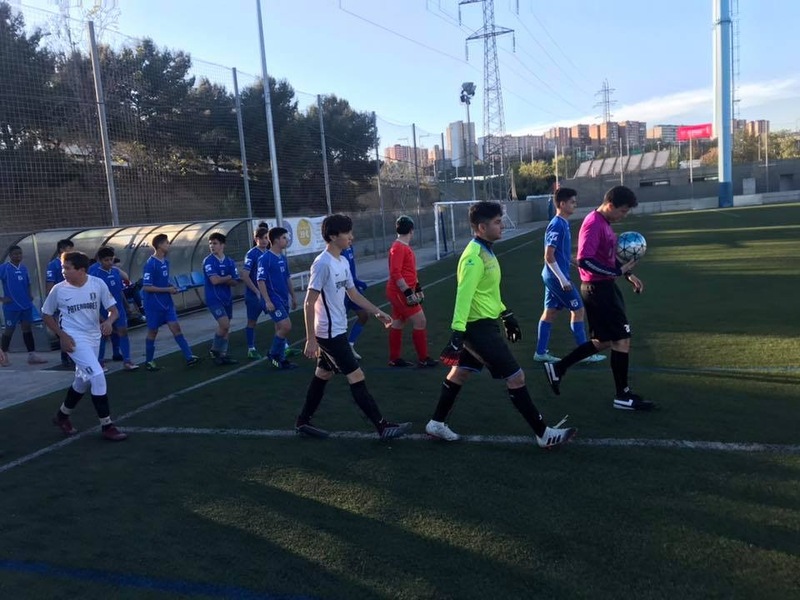 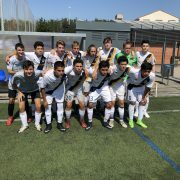 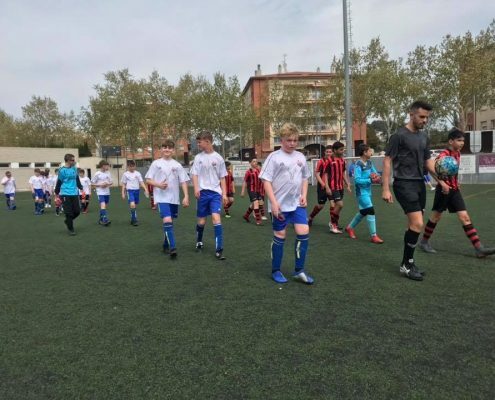 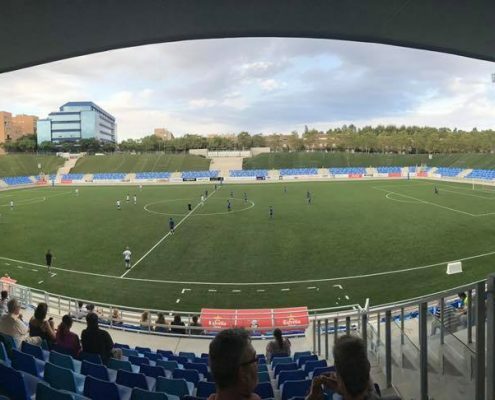 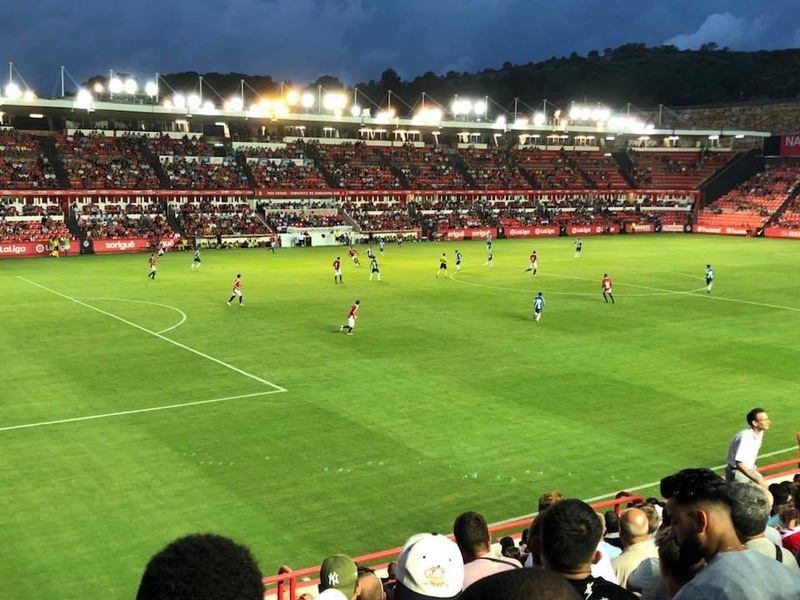 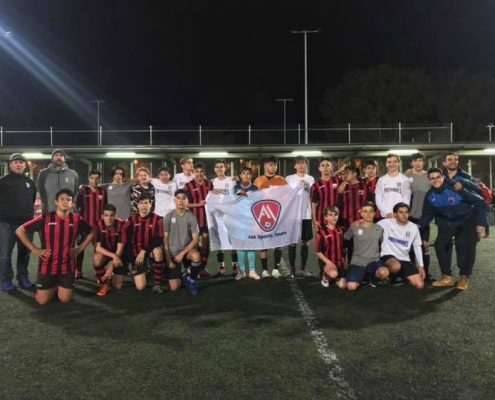 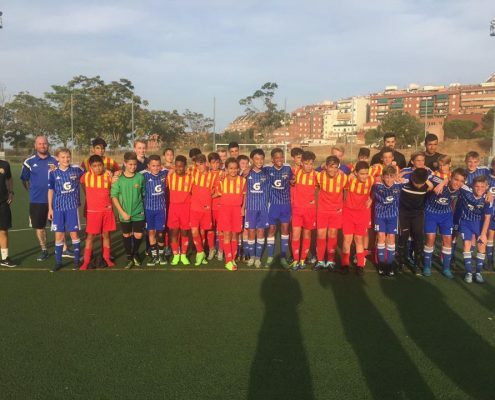 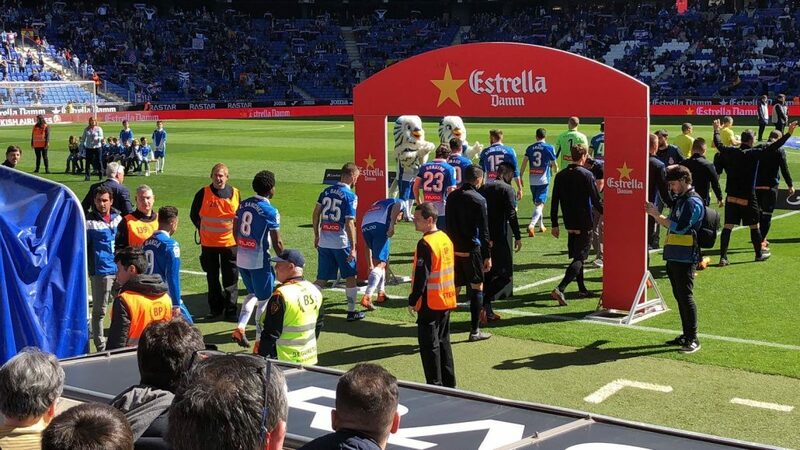 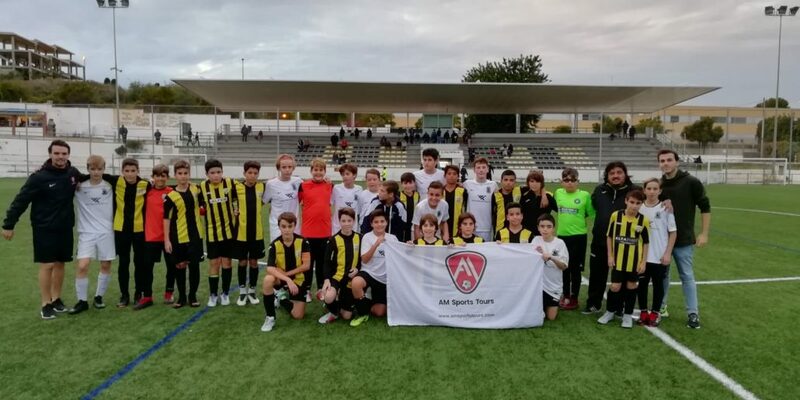 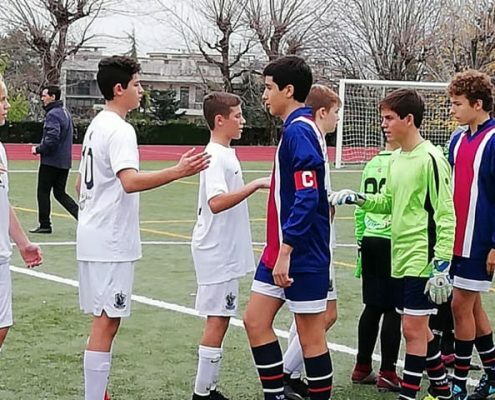 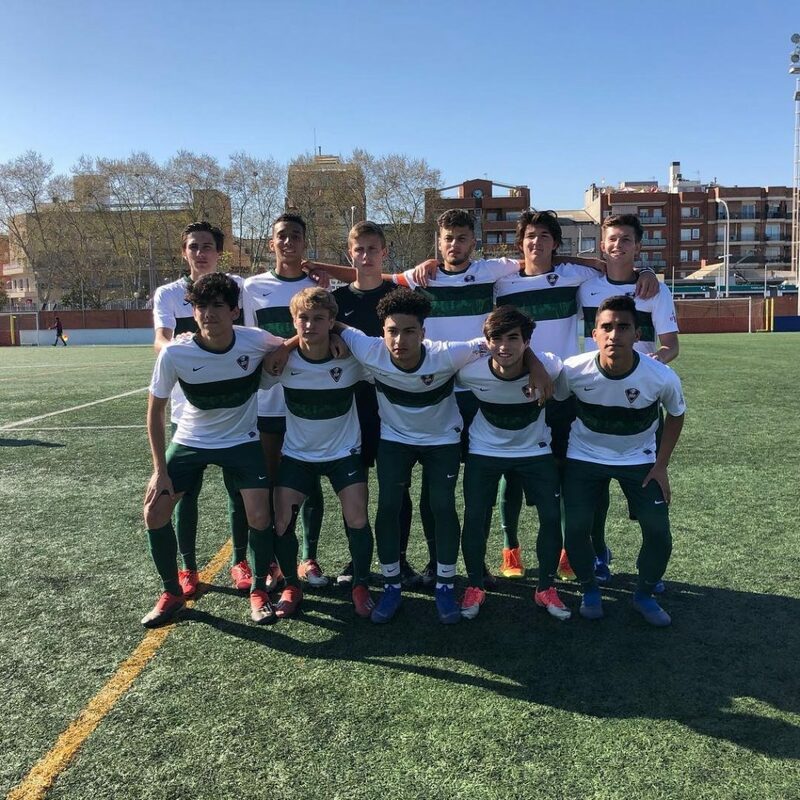 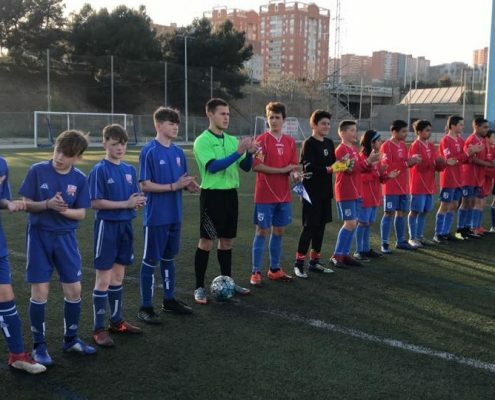 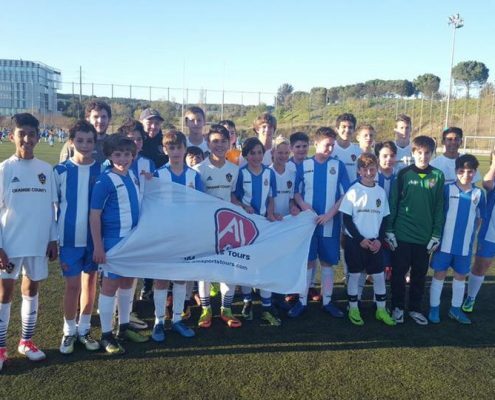 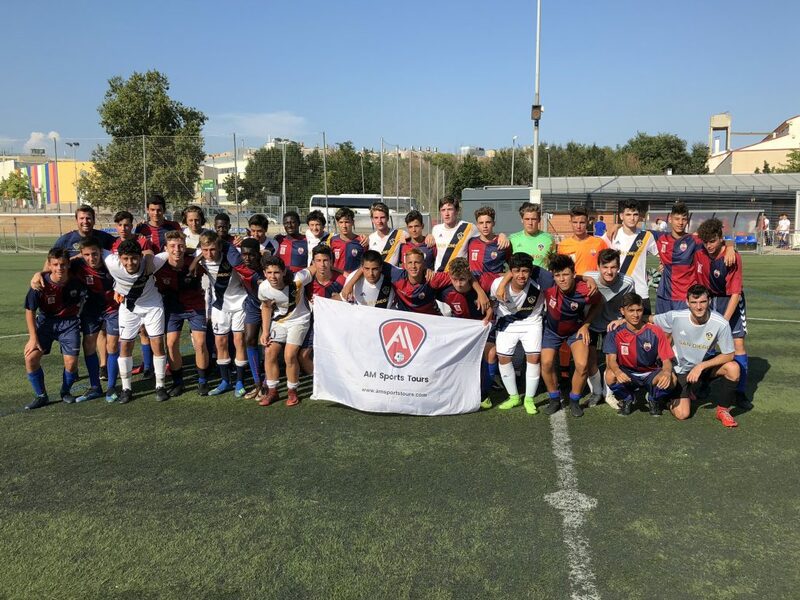 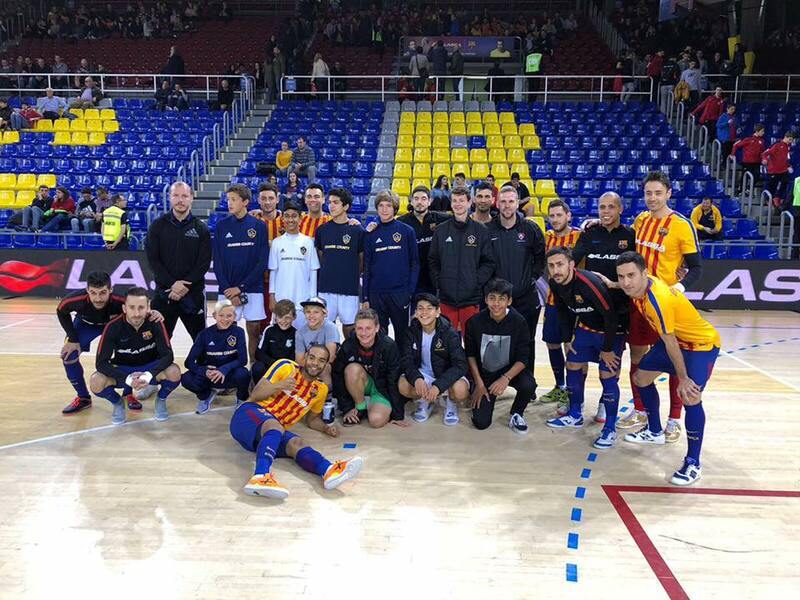 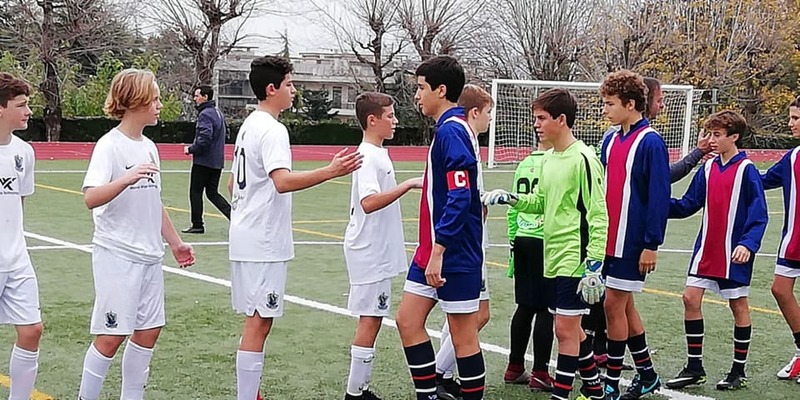 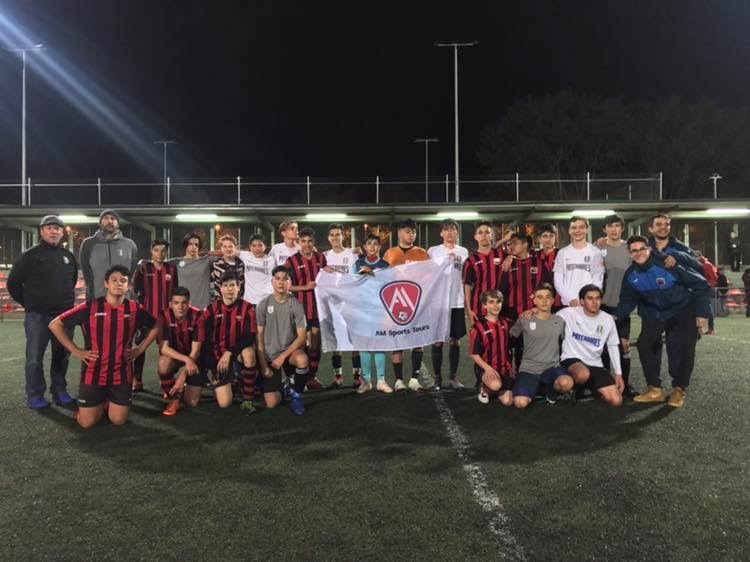 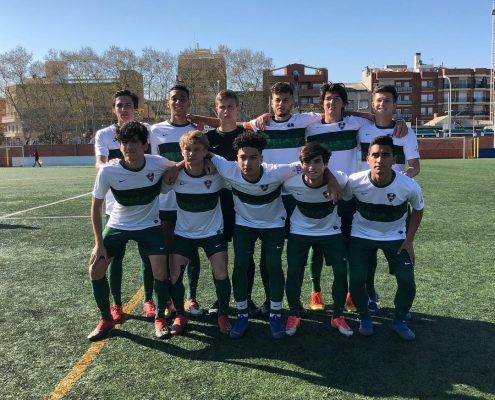 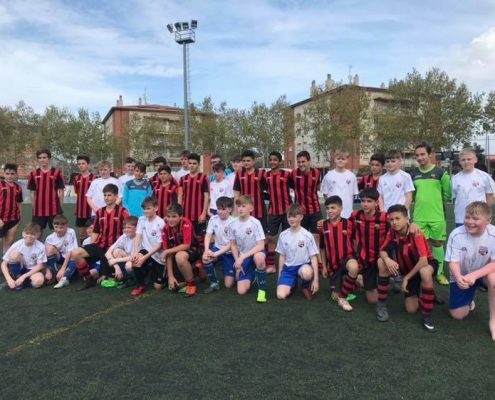 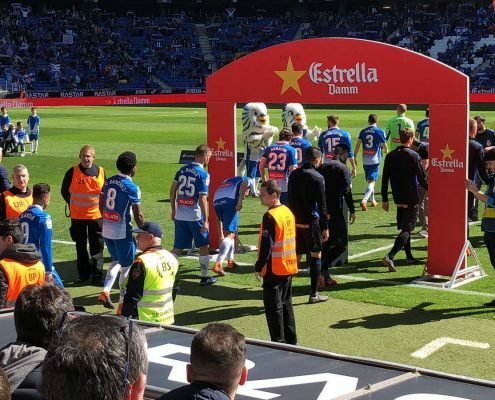 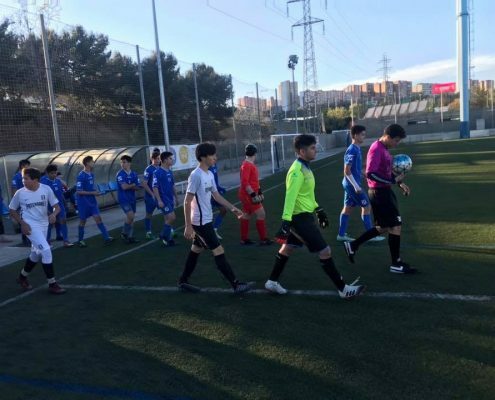 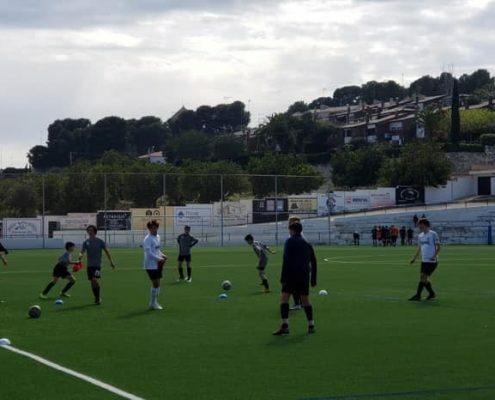 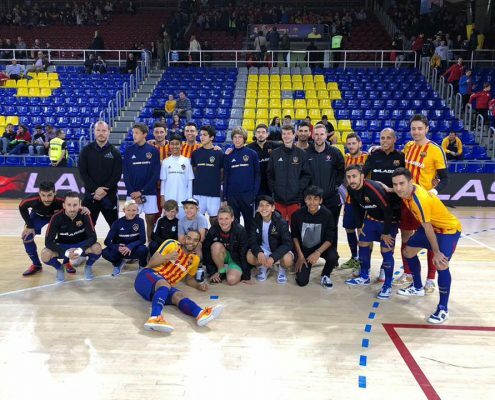 The second part was in the city of Barcelona, with the dispute of several matches against teams of the highest level Catalan, having an incredible show. All the games were recorded so that the coaches could watch them and show the errors to the players in order to correct them. 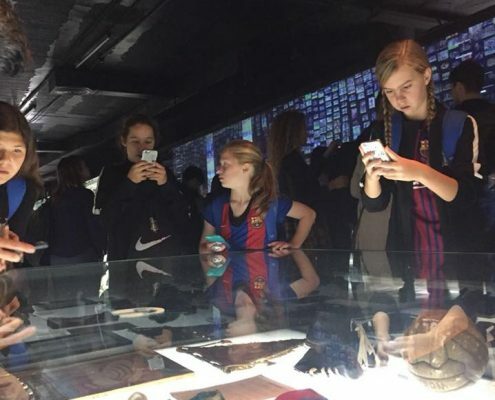 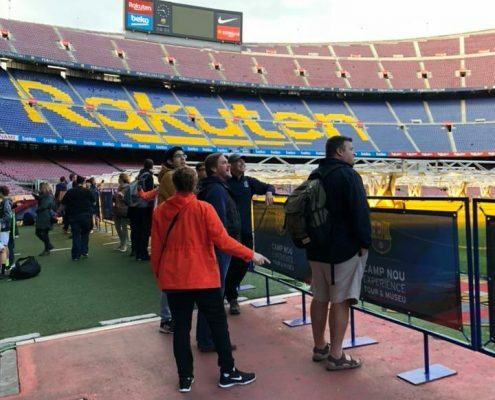 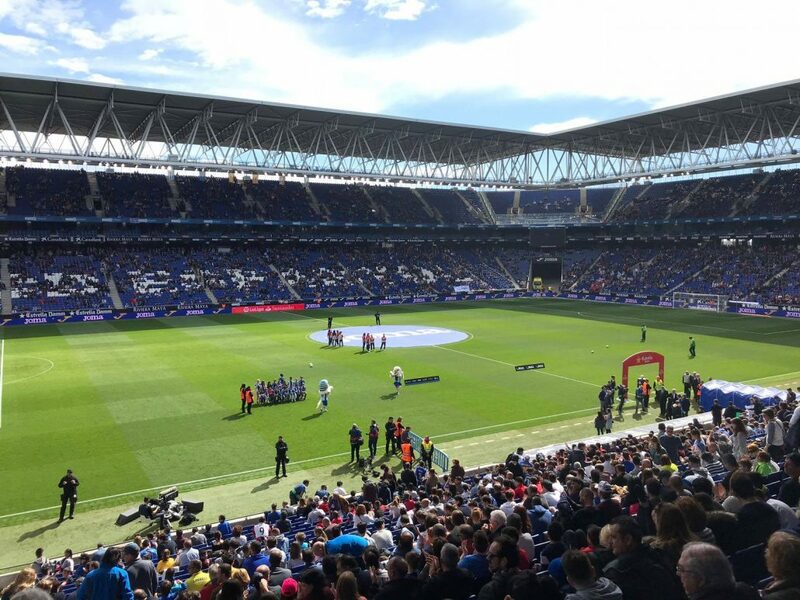 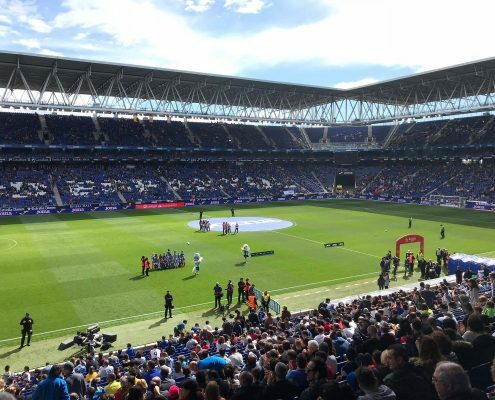 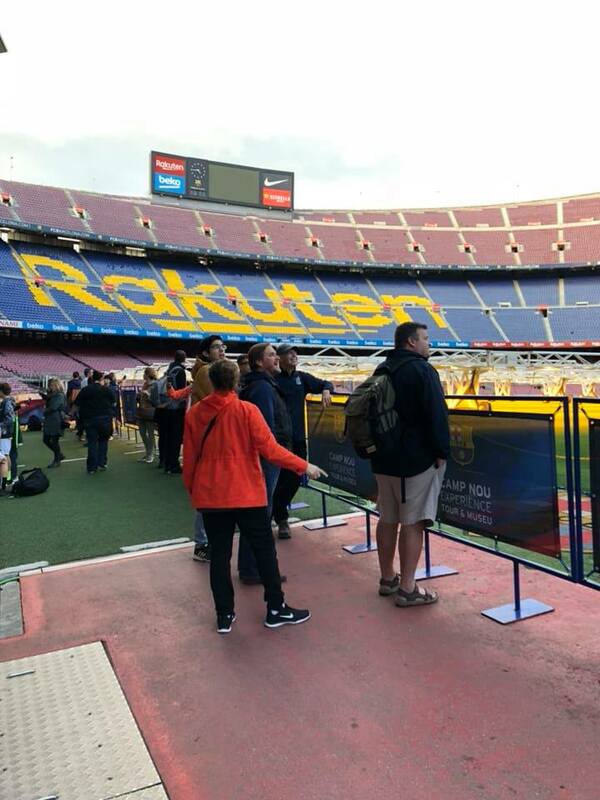 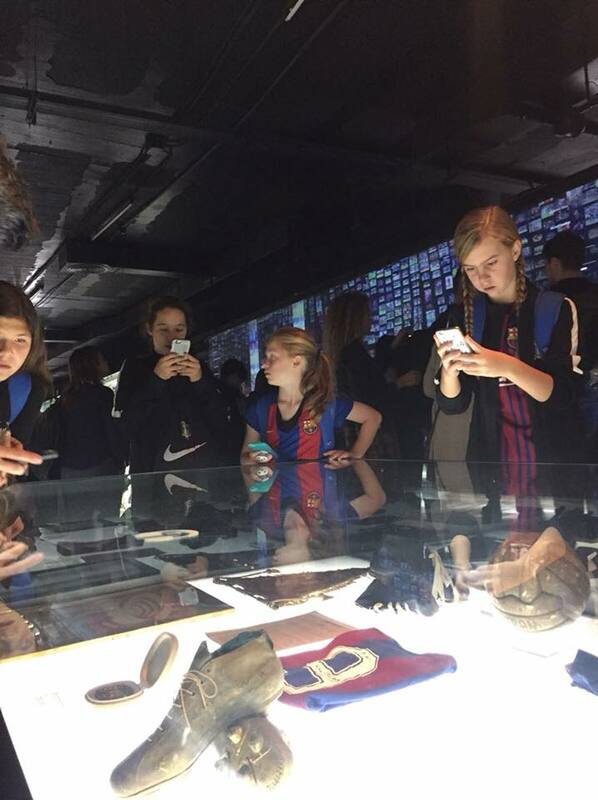 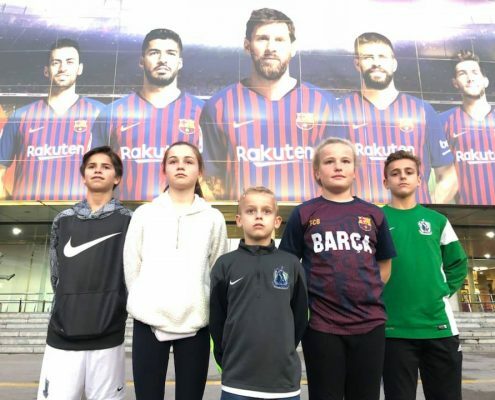 Among other activities you could not miss the obligatory visit to the Camp Nou experience, the tasting of the Spanish cuisine and the star activity, to watch the Barça-RCD Espanyol match live. 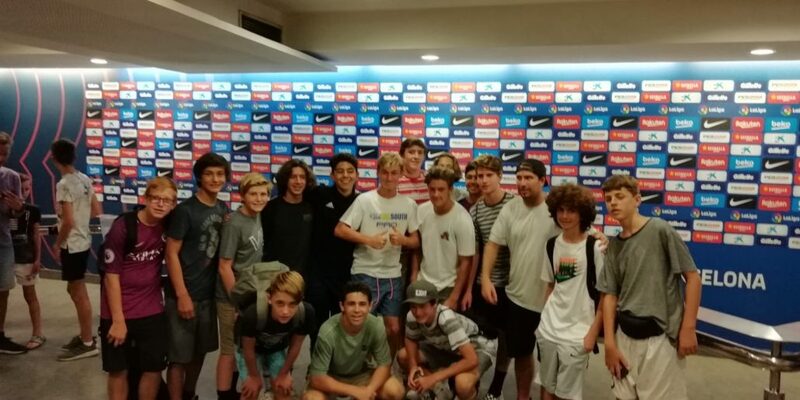 They were 10 intense days that the American guys enjoyed to the fullest. 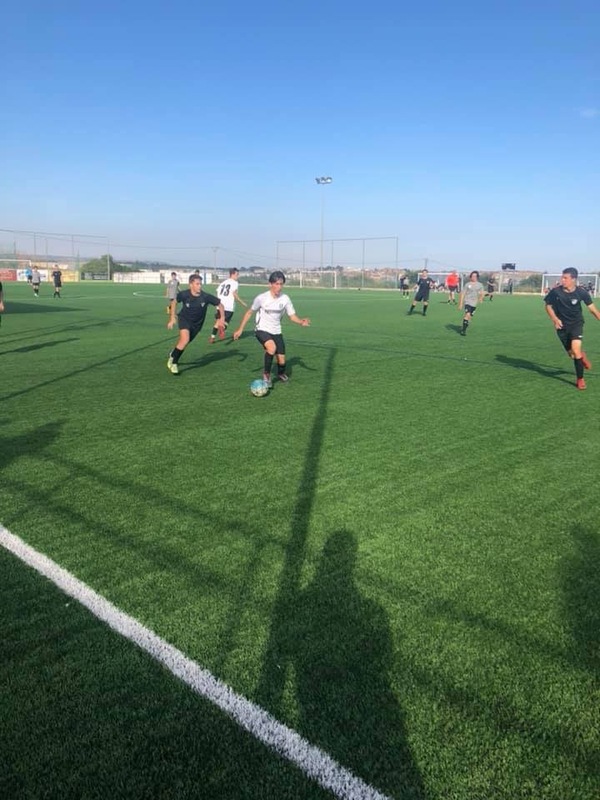 In the month of March we visited Pateadores Soccer, from the USA. 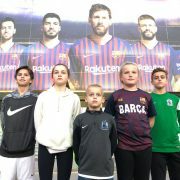 They were 8 days full of many plans with a main theme, soccer. 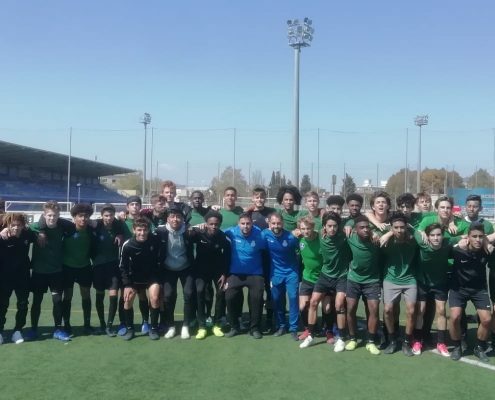 They played 3 matches and 3 trainings with UEFA technicians. 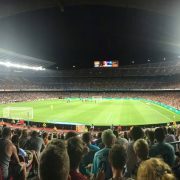 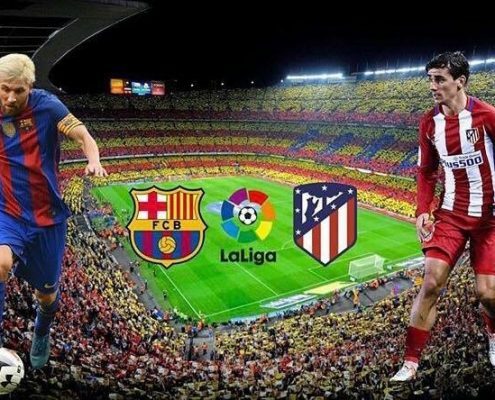 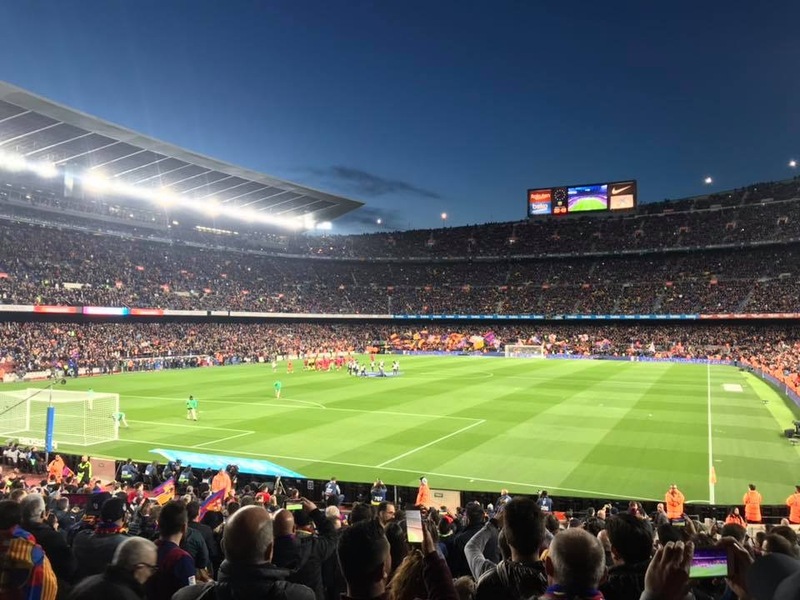 The most important activity was to see live a Barça-Atlético de Madrid. 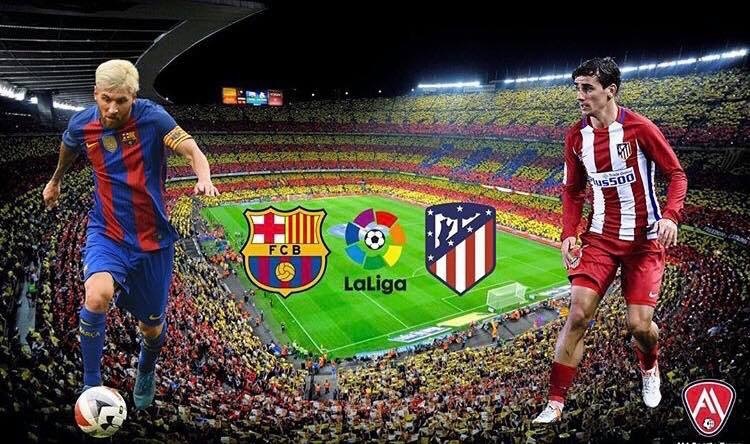 One of the most attractive games in the world. 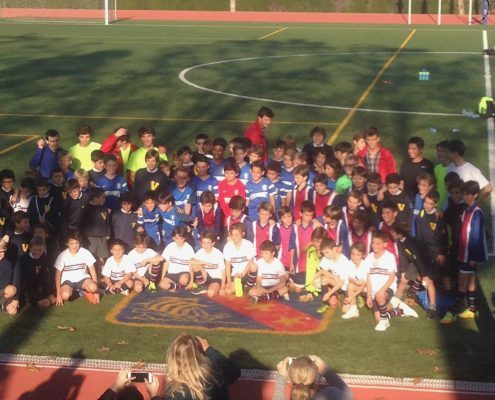 The tour ended with a party with parents and players where the prizes were presented. 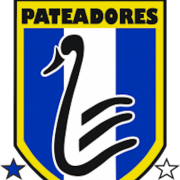 See you soon Soccer Pateadores! 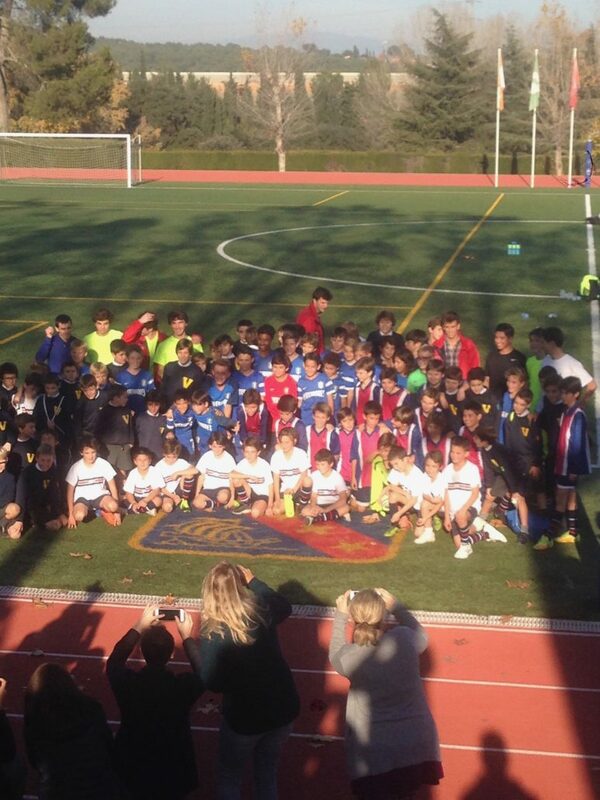 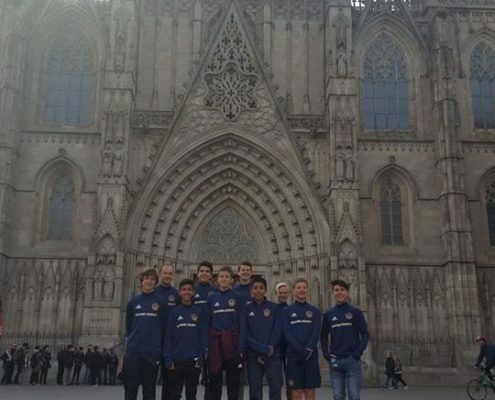 Fantastic days with the MONTROSE YOUTH club of Scotland in Barcelona. 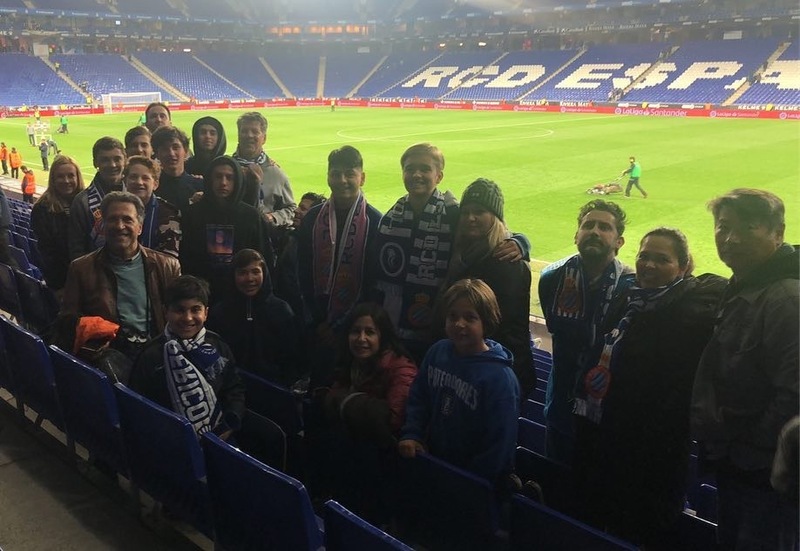 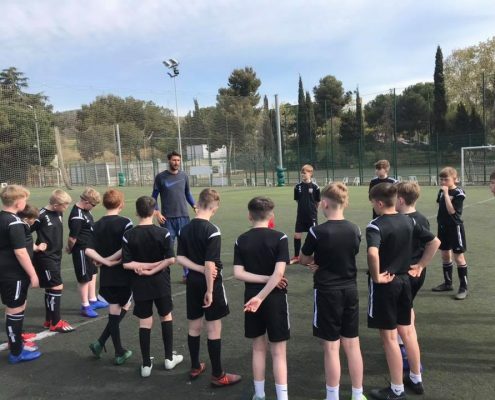 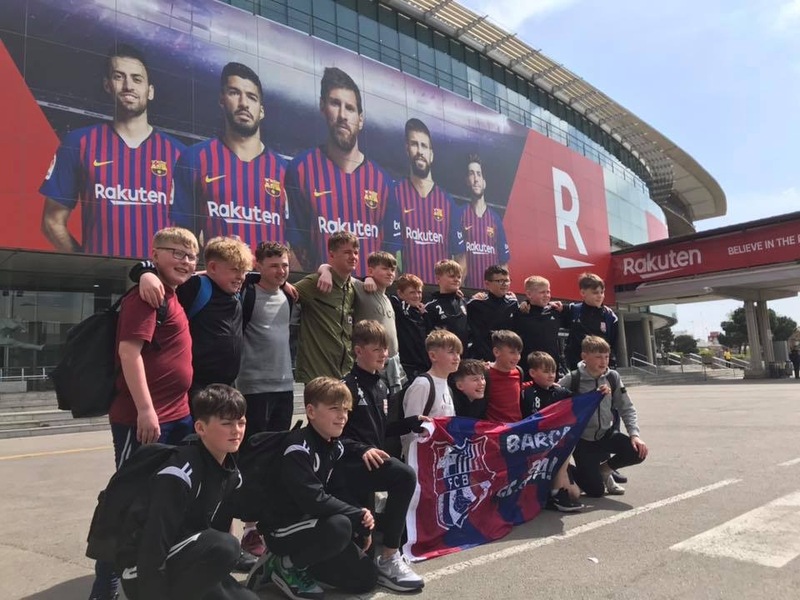 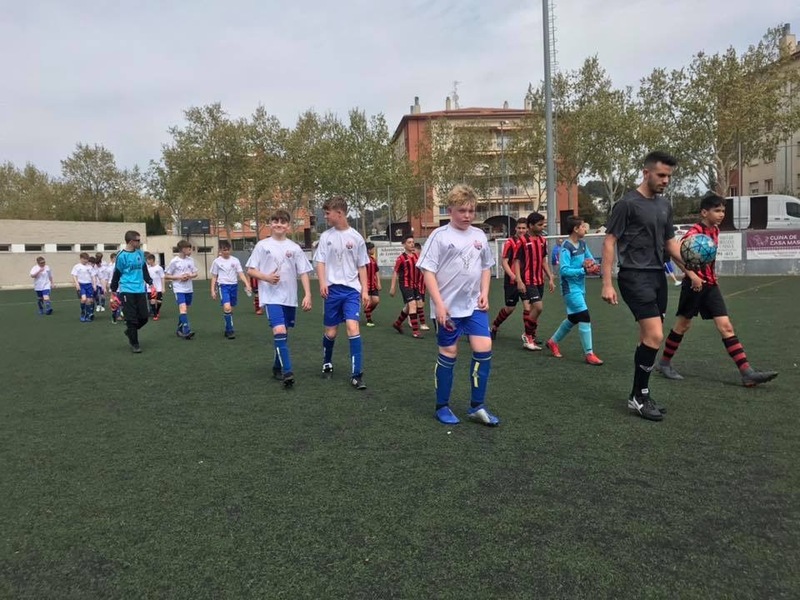 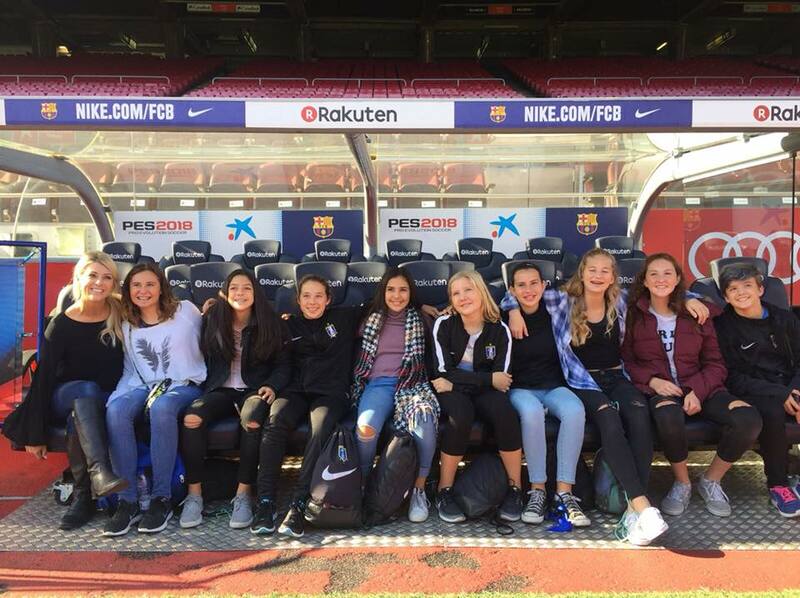 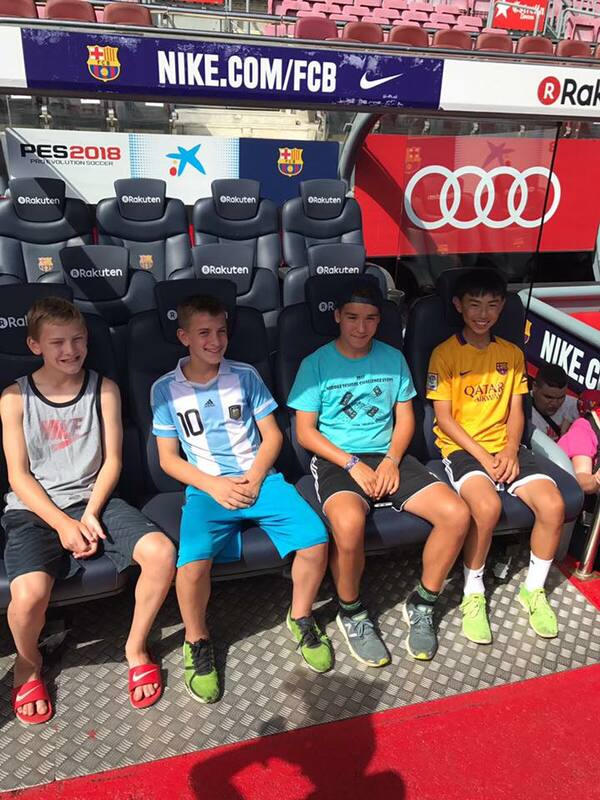 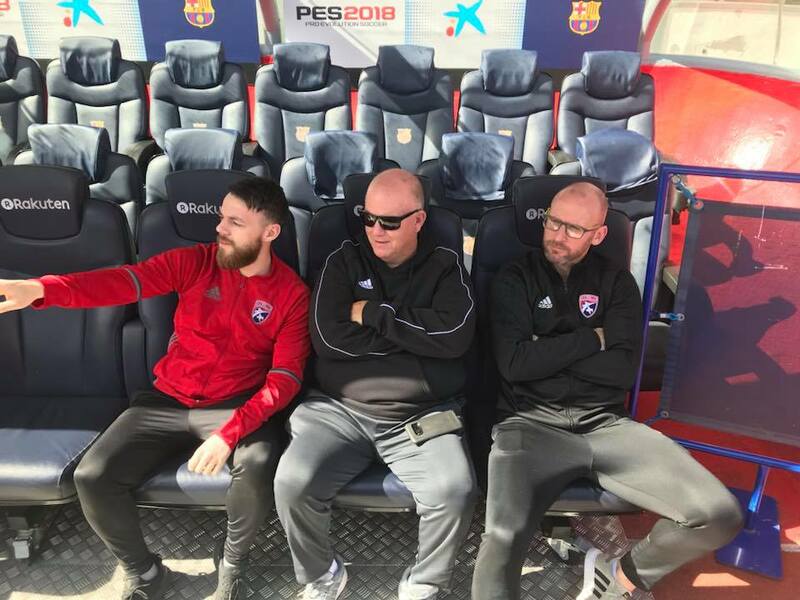 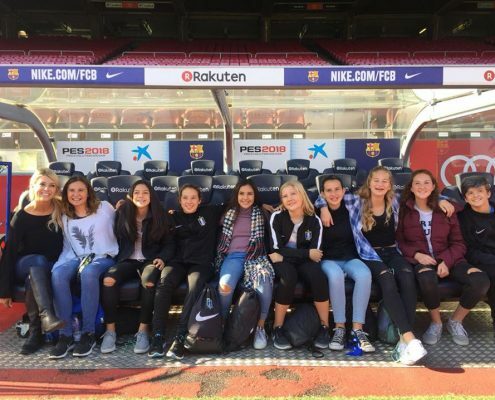 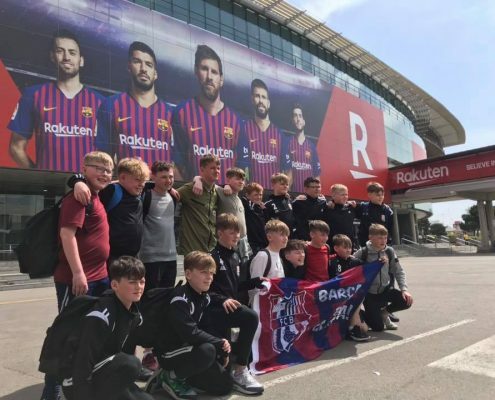 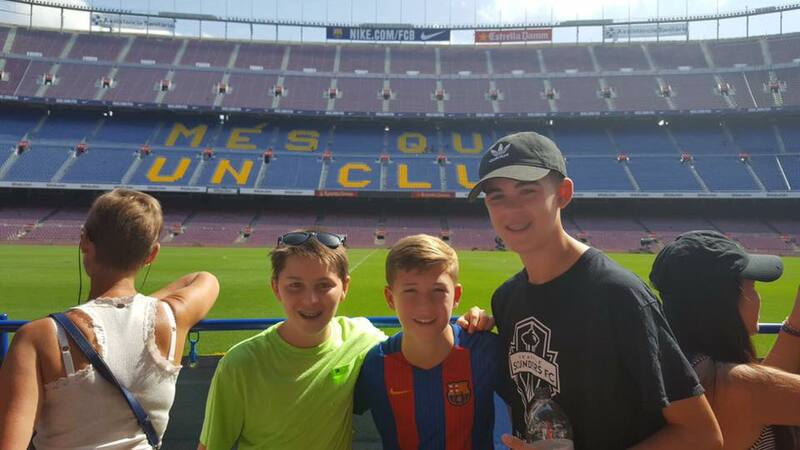 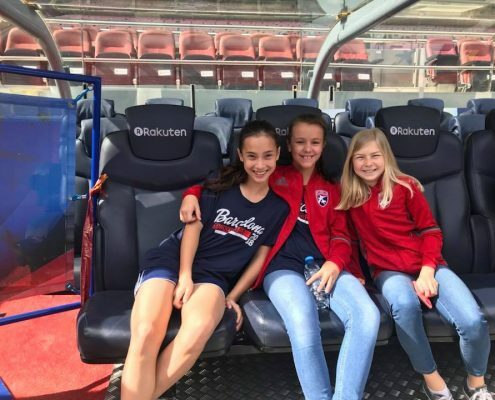 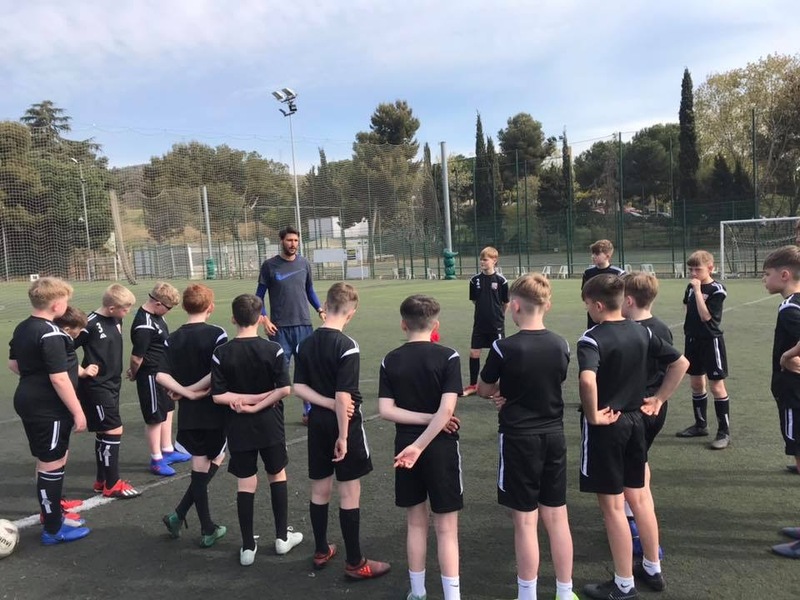 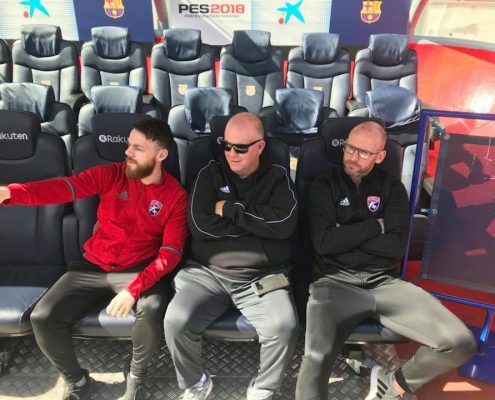 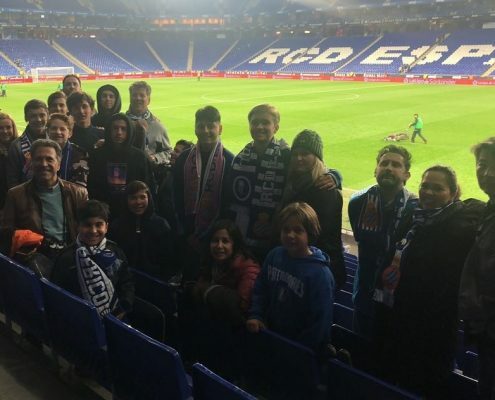 Young promising coaches, playing games against local teams, visiting the Camp Nou and getting to know the city with the best support, parents. 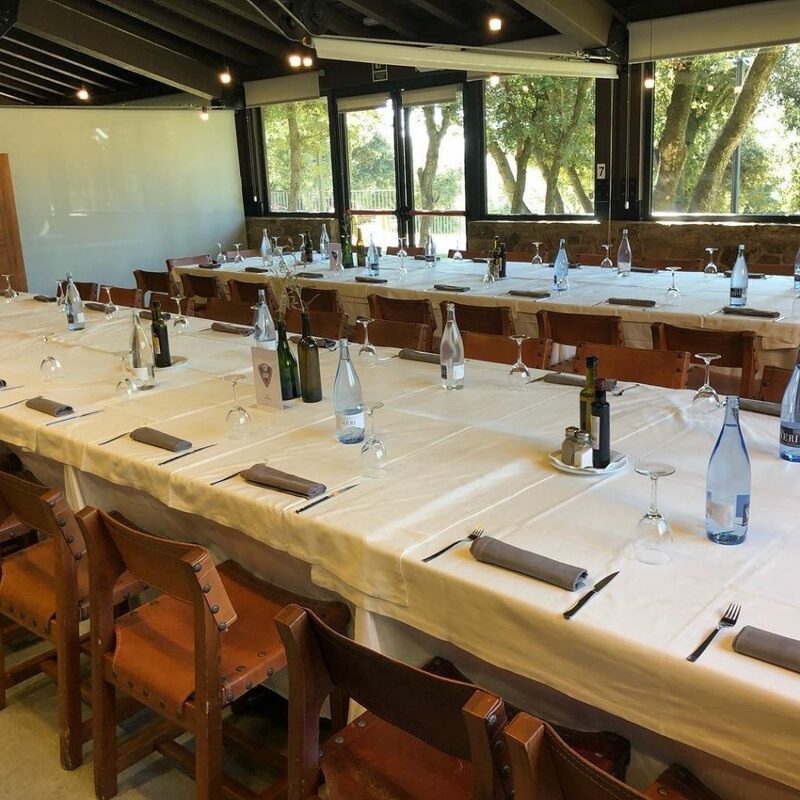 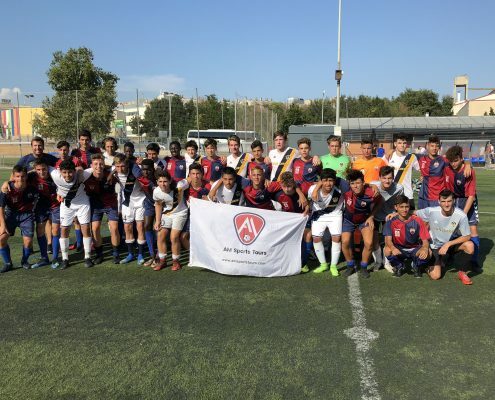 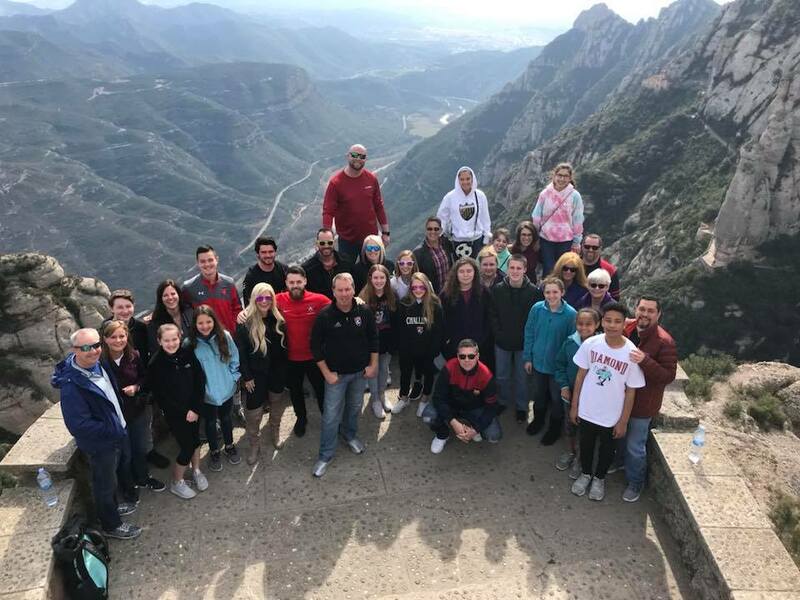 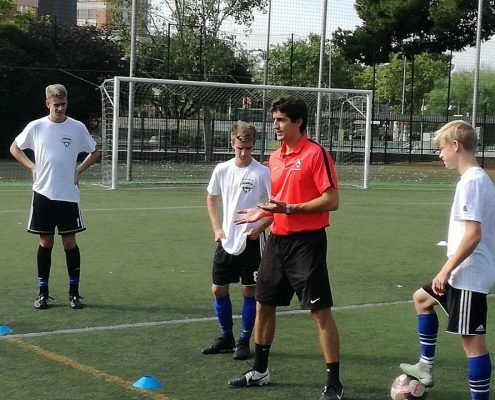 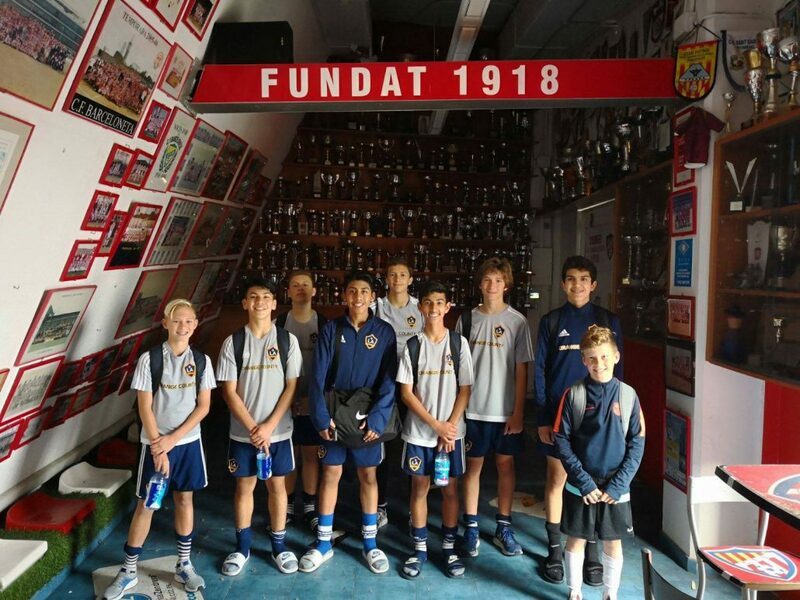 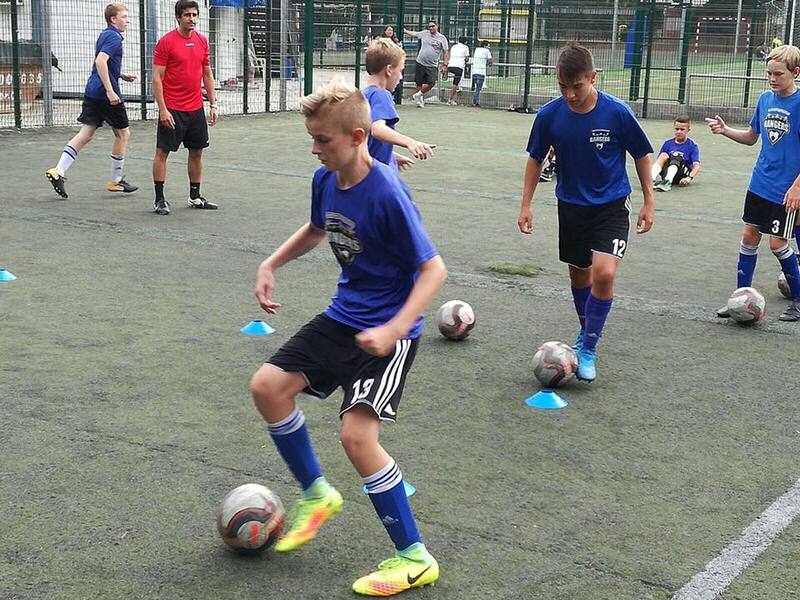 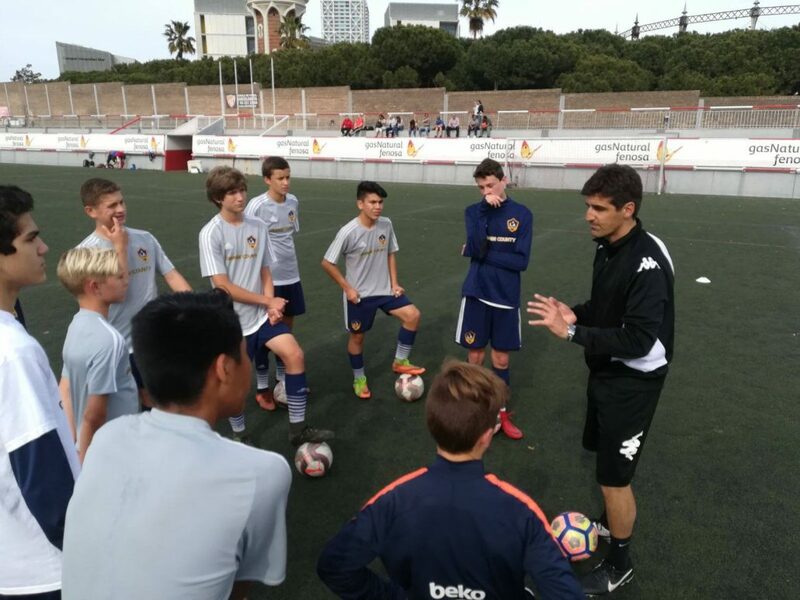 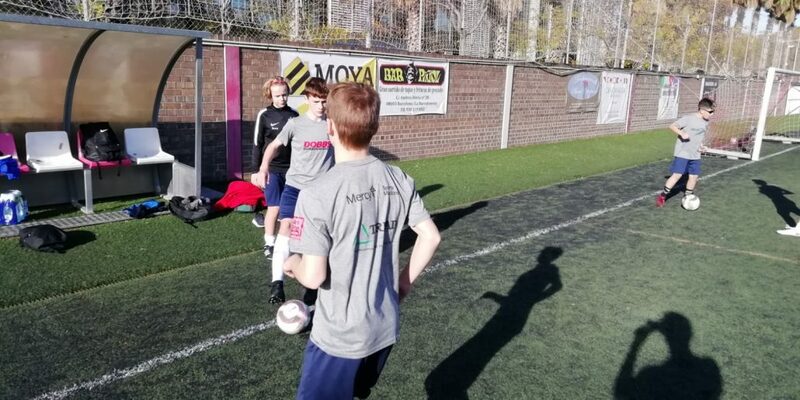 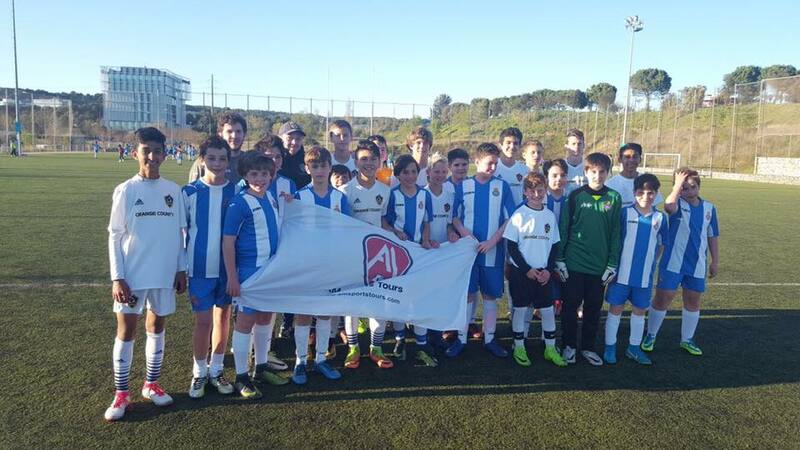 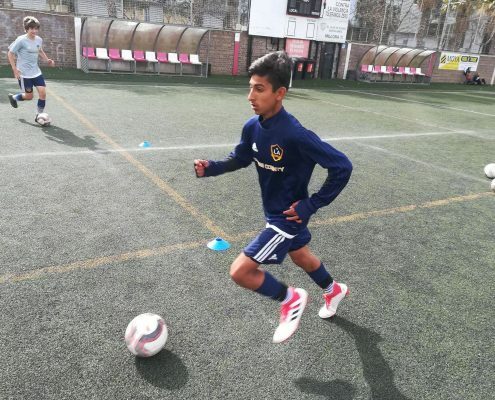 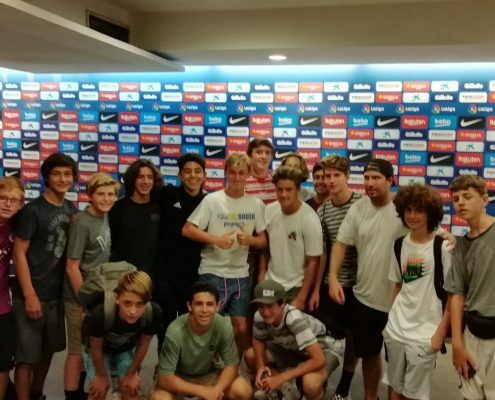 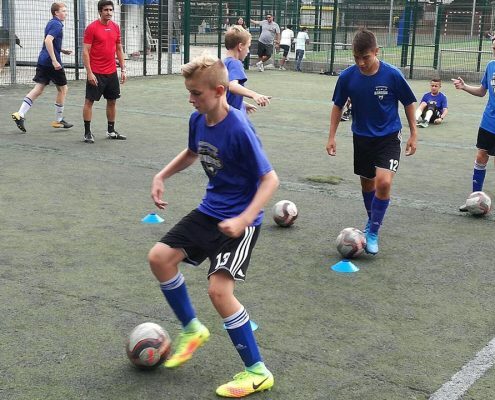 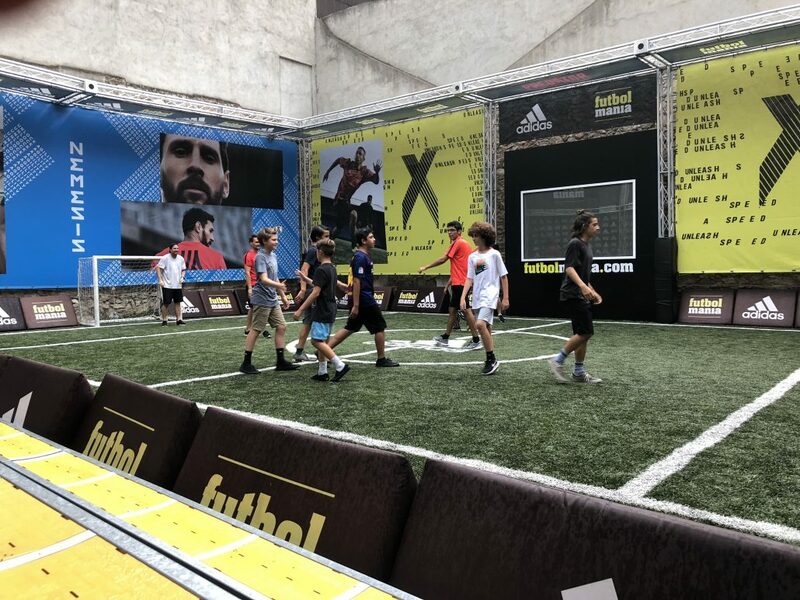 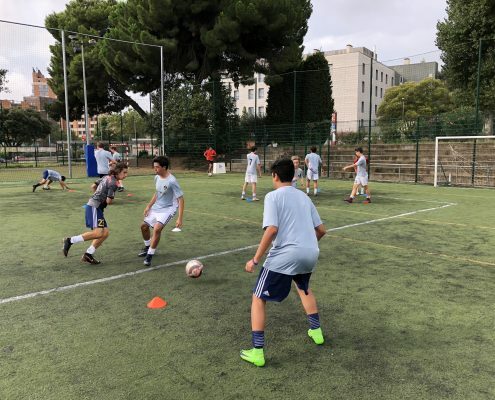 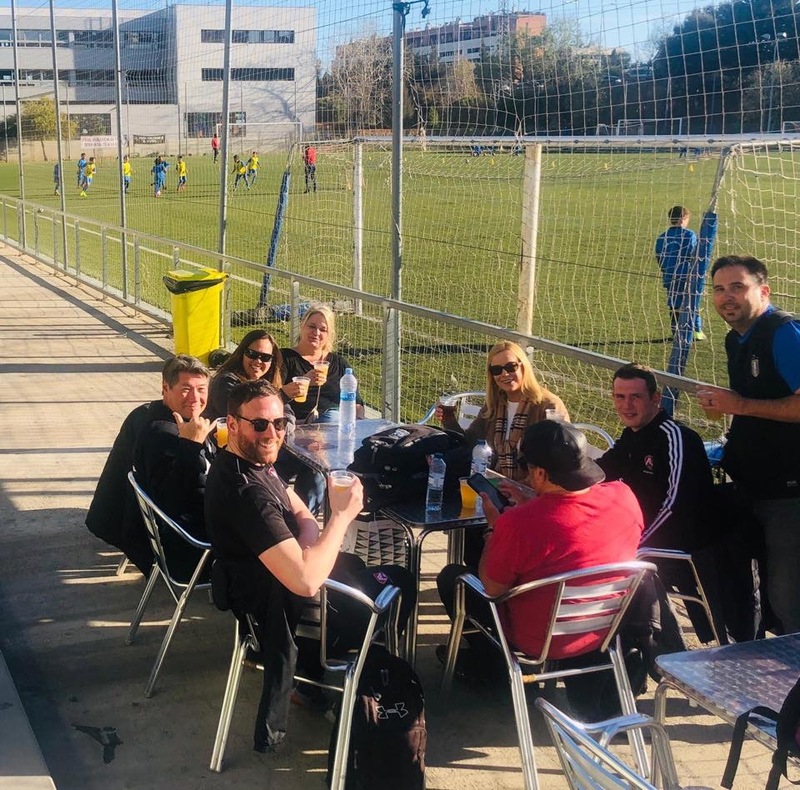 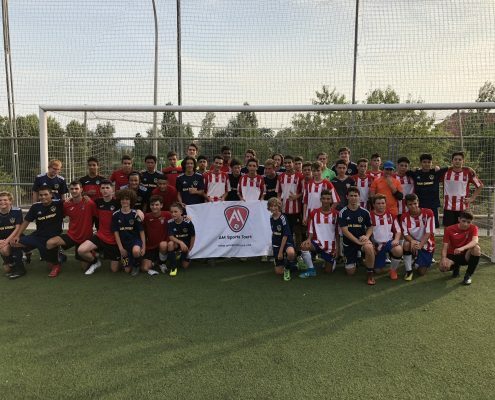 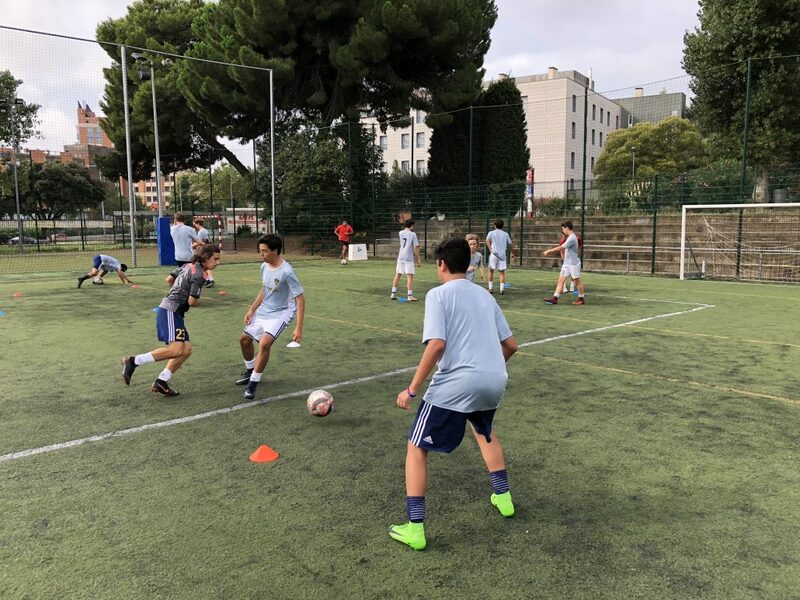 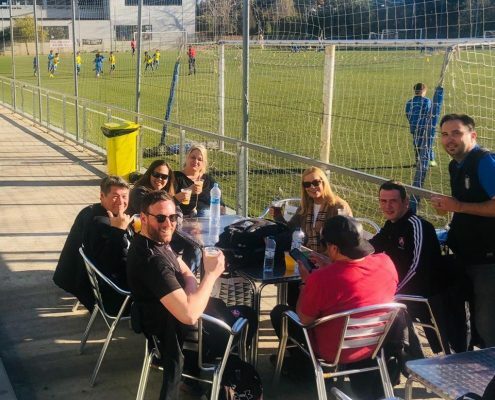 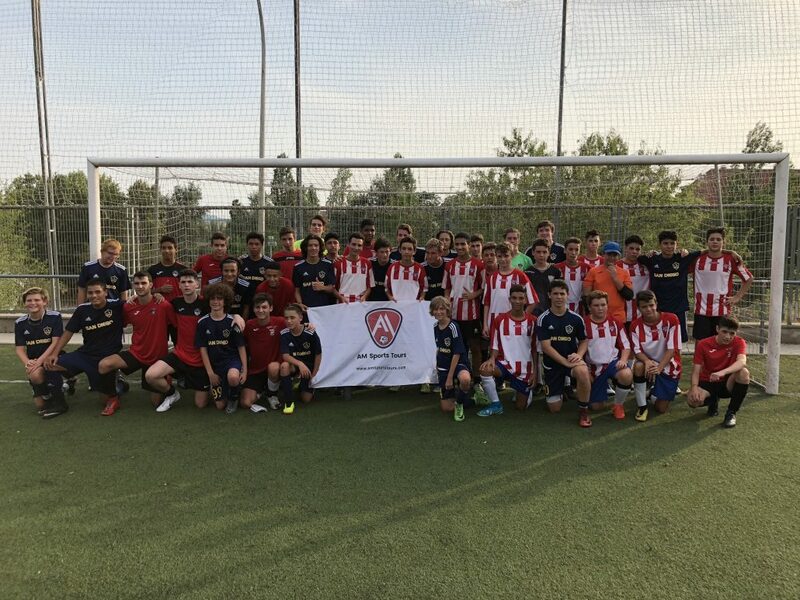 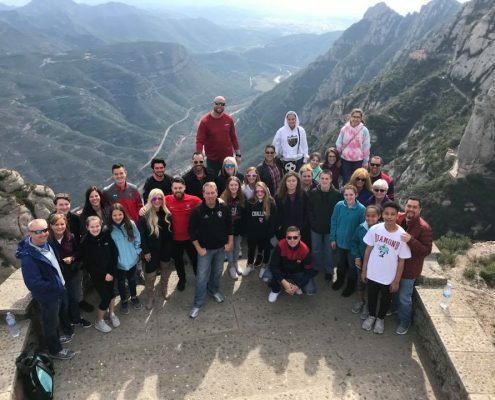 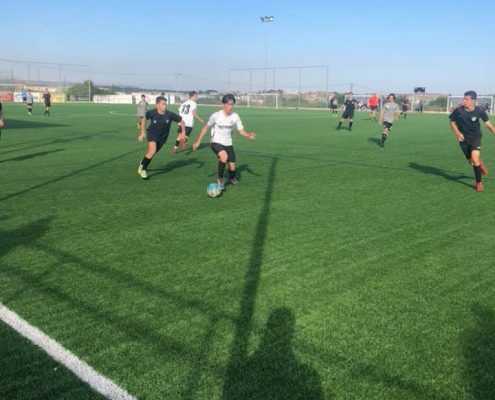 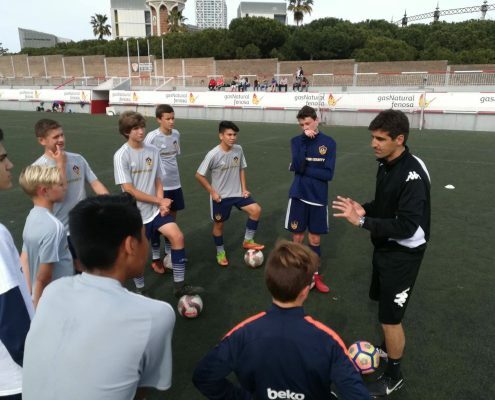 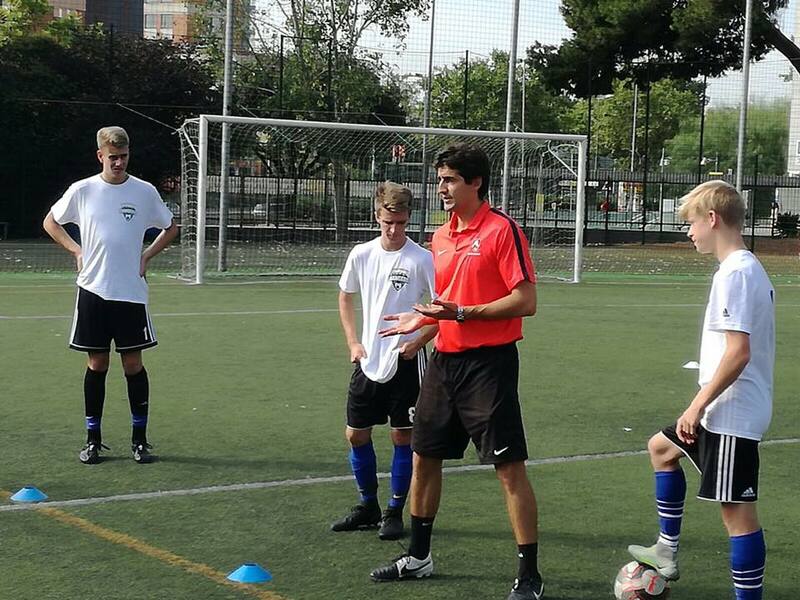 The San Diego team held a 10-day stage in Barcelona full of many sports activities. 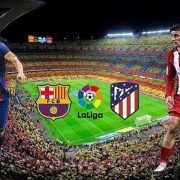 A total of 4 friendly matches against the best clubs in the city. 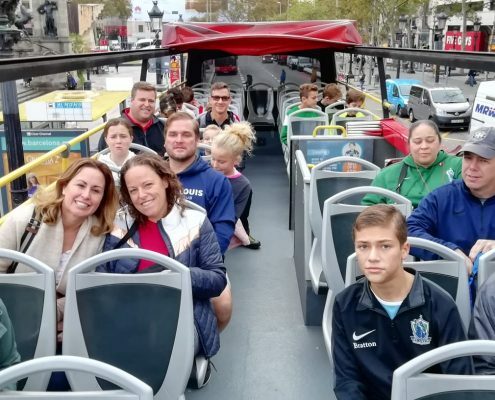 Visits to the most emblematic sites were not lacking as well as the possibility to taste the gastronomic variety of the city. 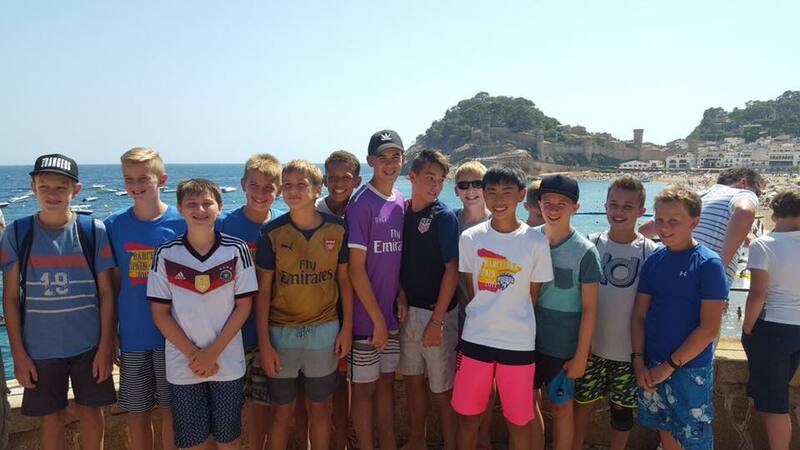 In addition, the children and their families could visit the beaches of Catalonia, spectacular landscapes. 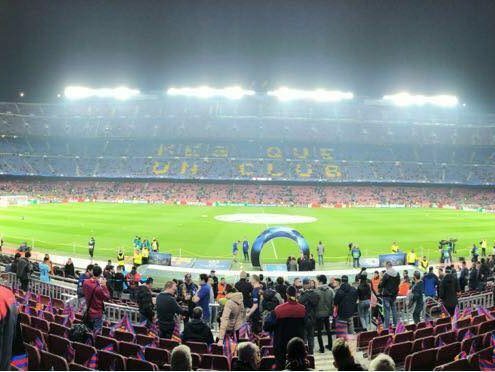 Once again an experience that you will remember all your life. 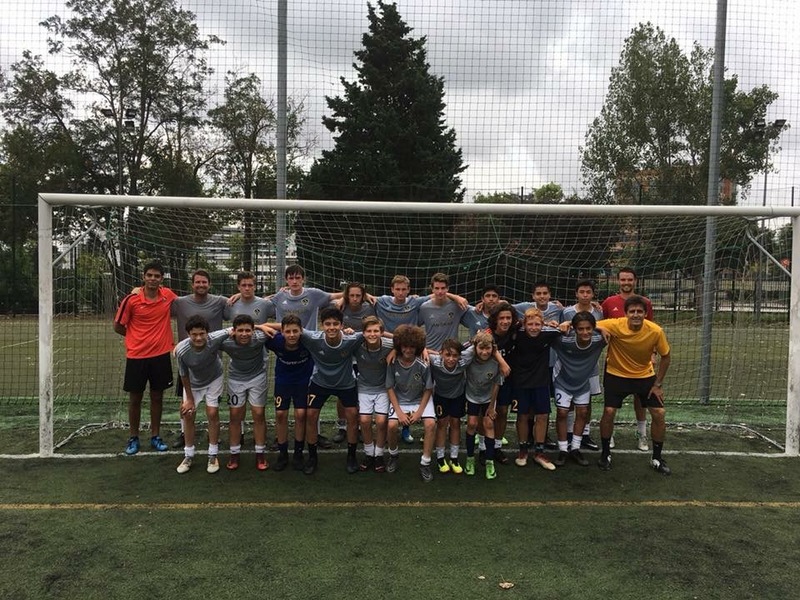 The American team visited us for 9 days, being able to carry out sports and cultural activities every day. 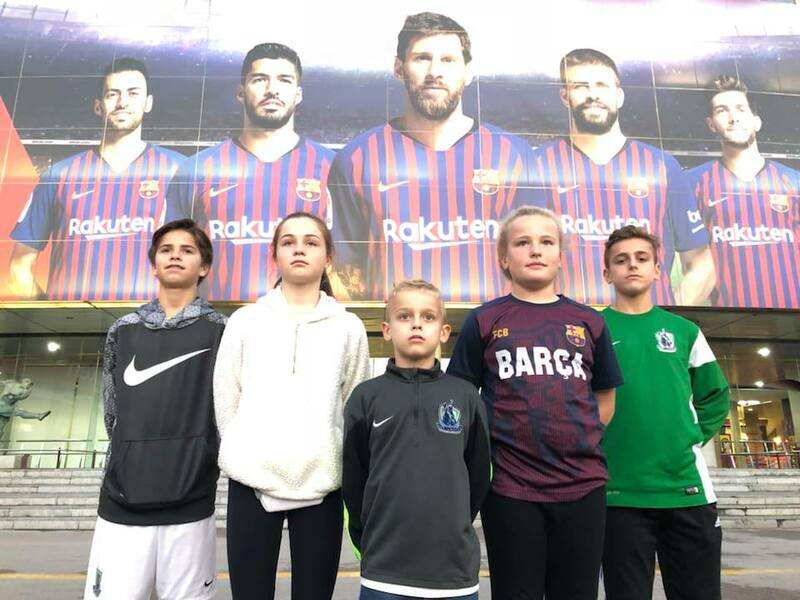 They played a total of 4 matches and were able to watch 2 FC Barcelona matches, one of them being Barça-Roma, of the Champions League. 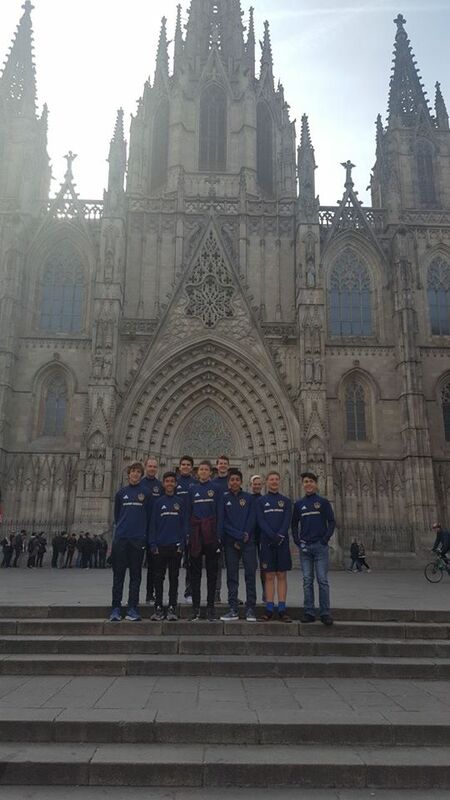 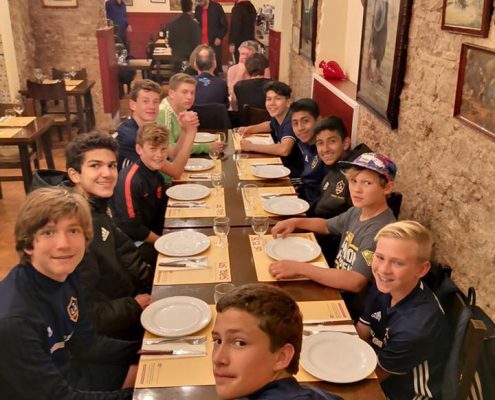 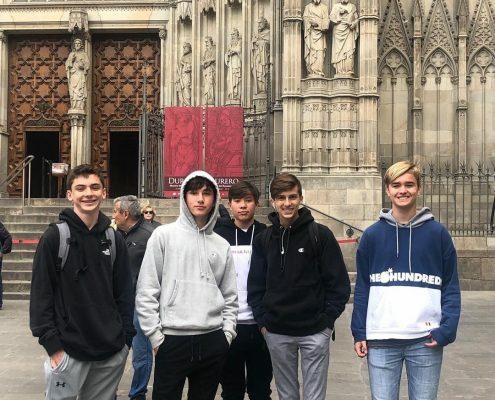 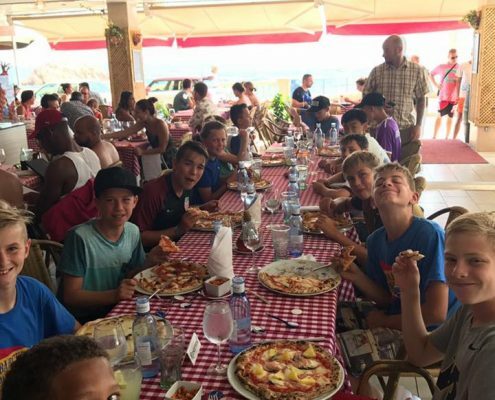 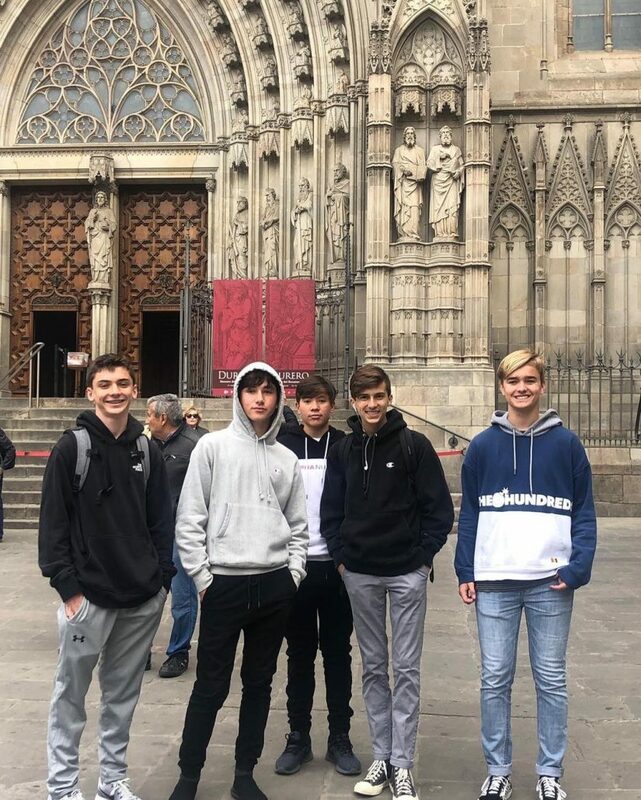 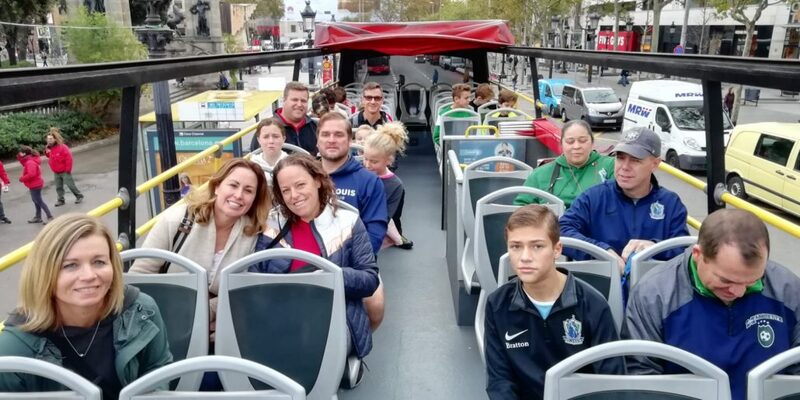 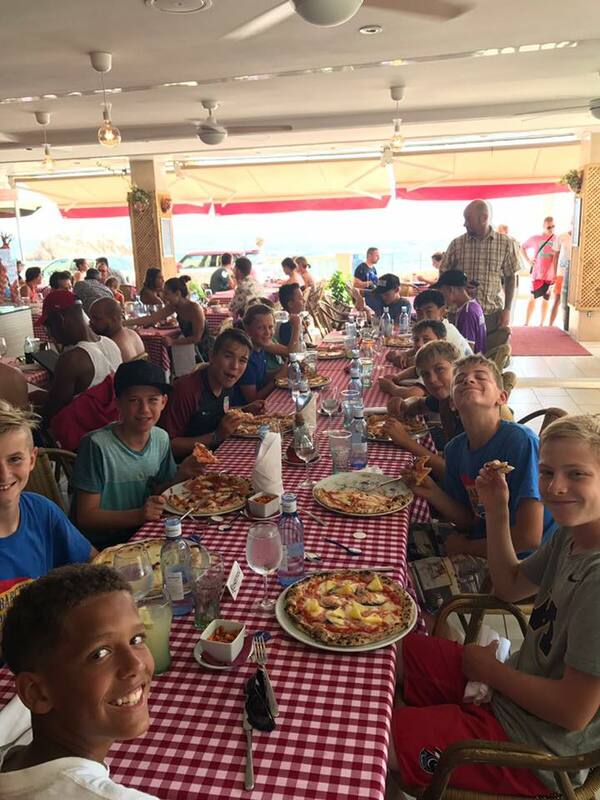 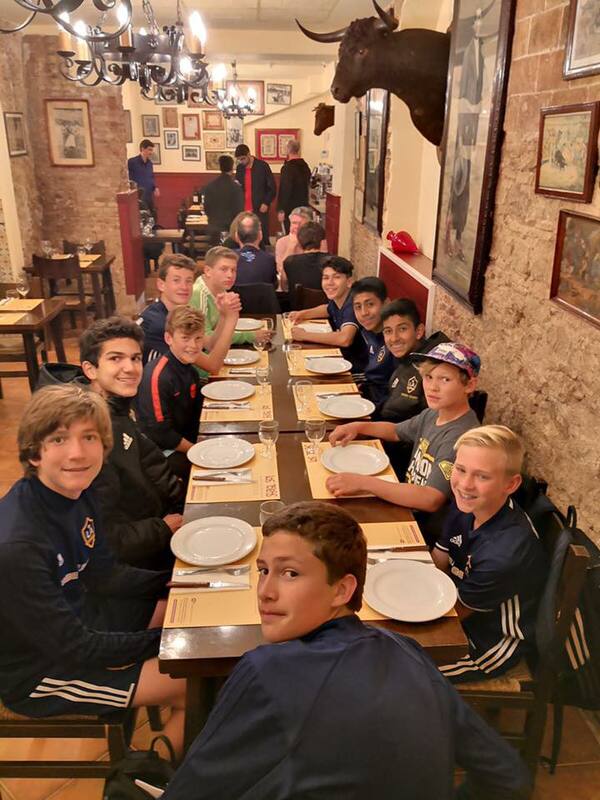 In addition players and family could visit the city of Barcelona enjoying its Mediterranean cuisine. 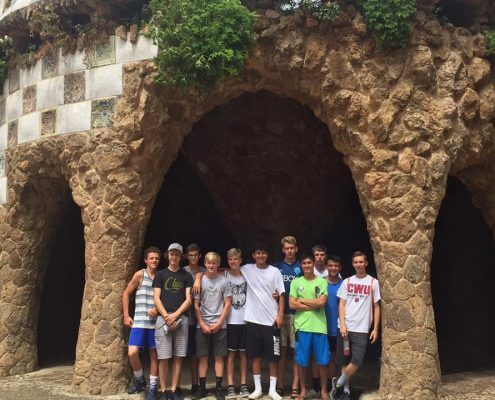 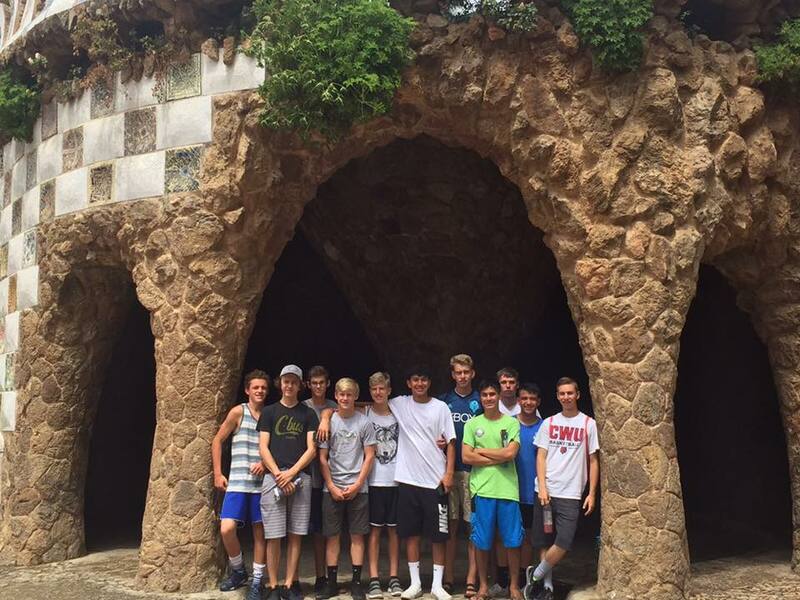 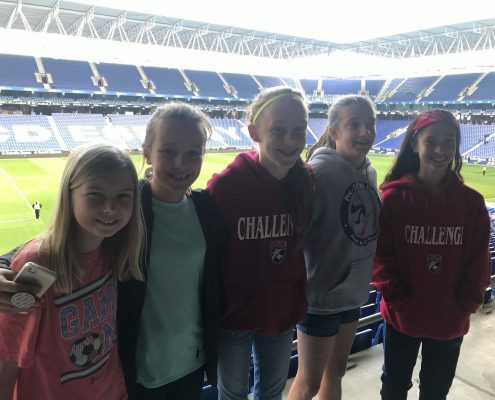 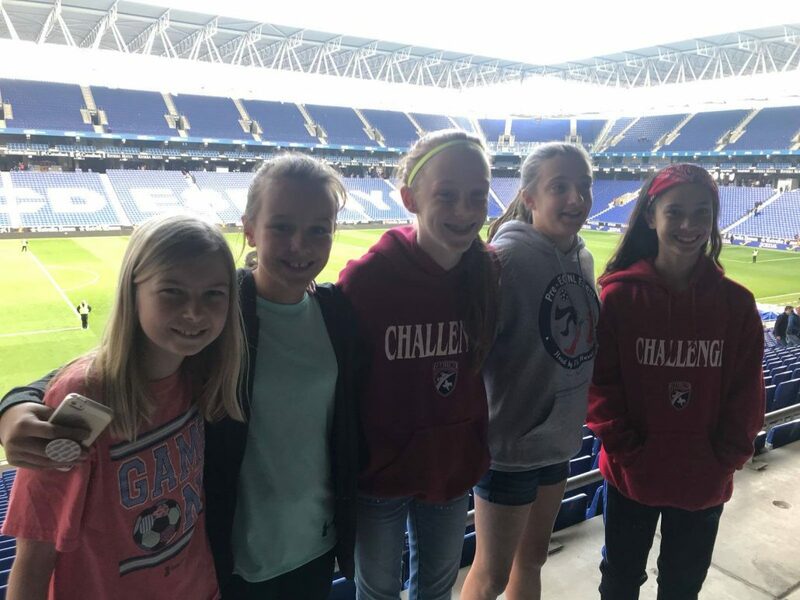 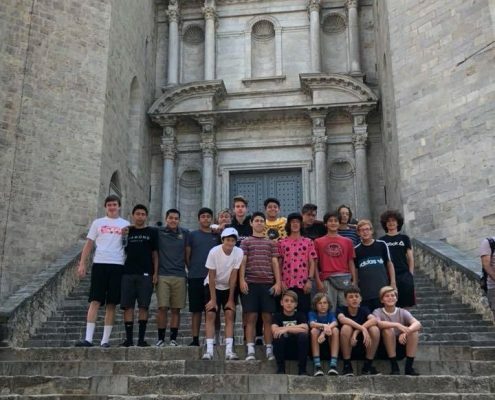 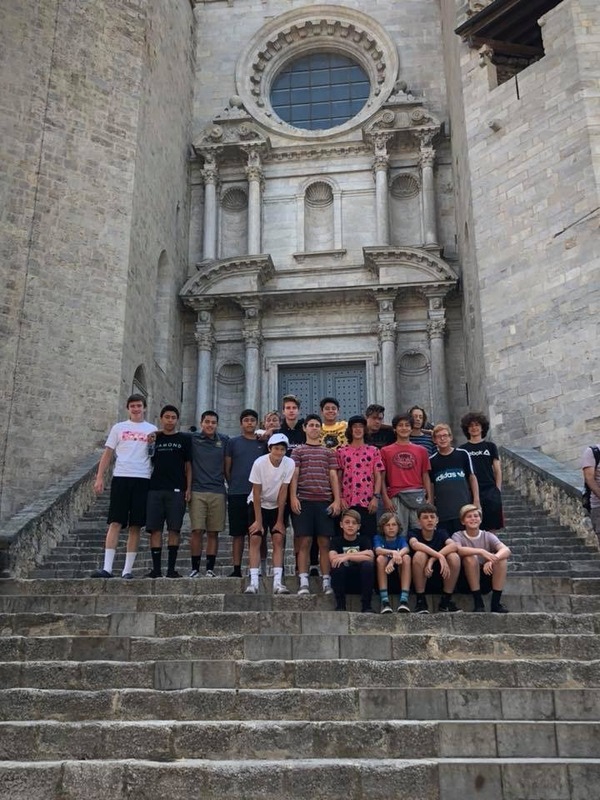 Spectacular tour that the team U15 of Dallas has been able to realize. 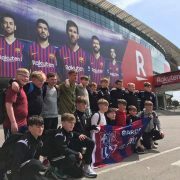 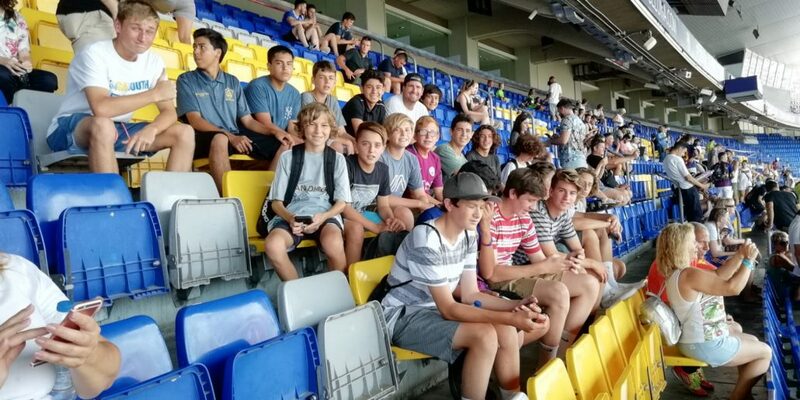 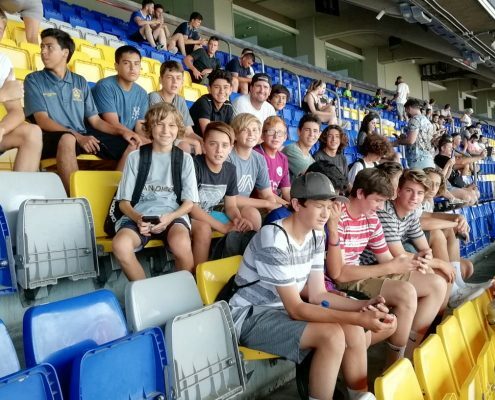 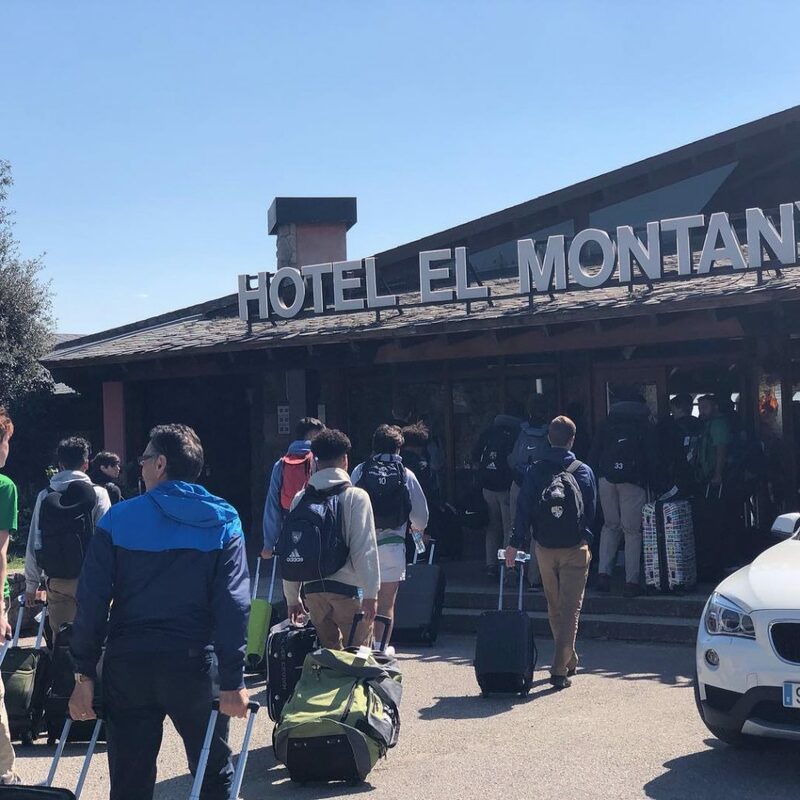 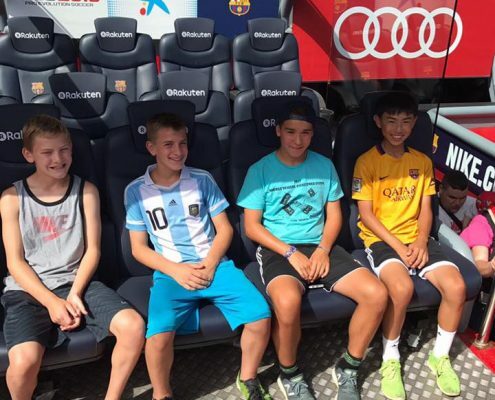 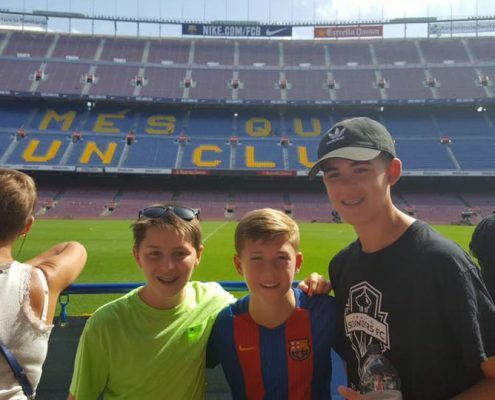 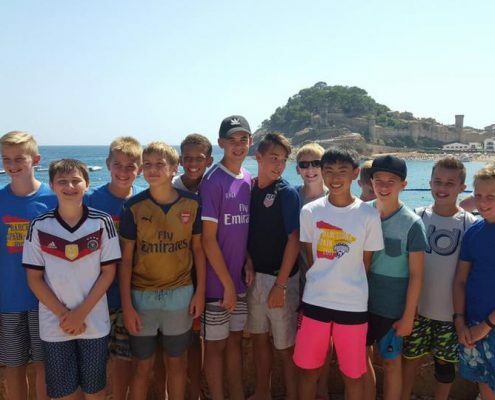 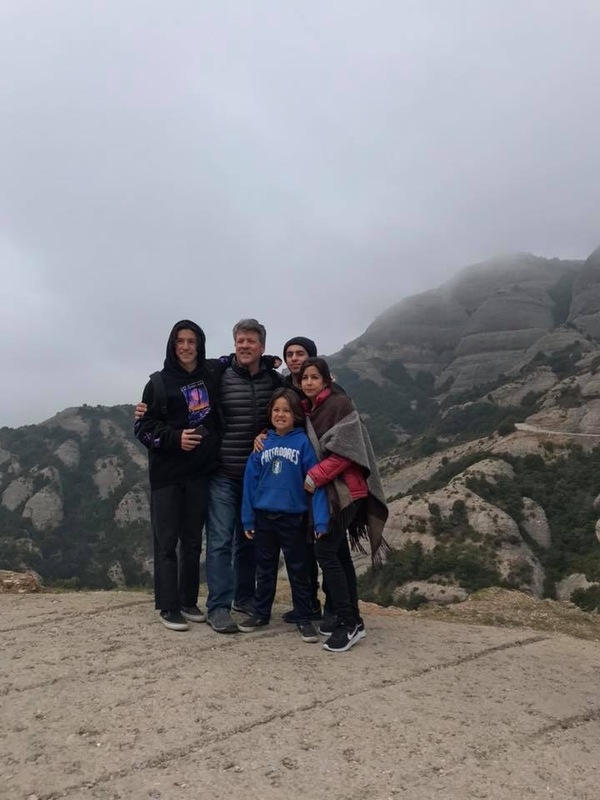 The first days they could enjoy the city of Barcelona, visiting the most emblematic places and of course the obligatory visit to the Camp Nou. 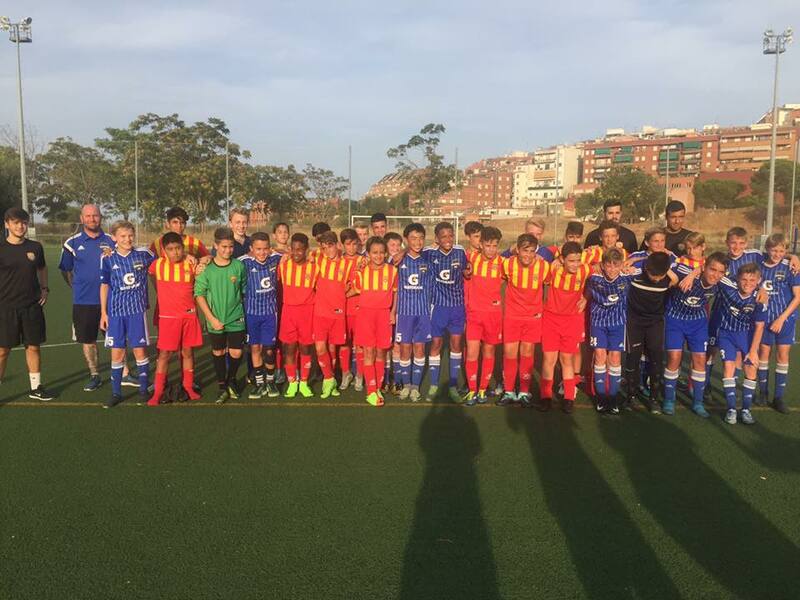 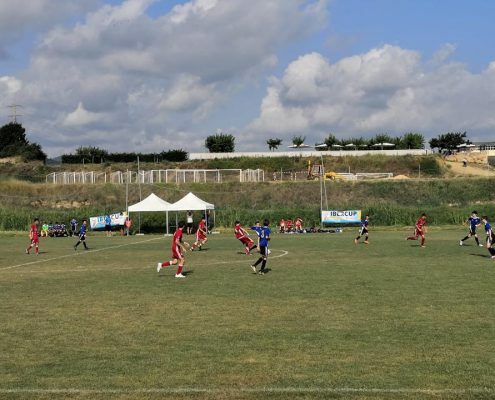 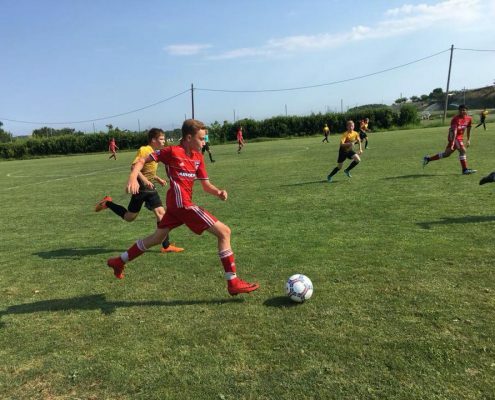 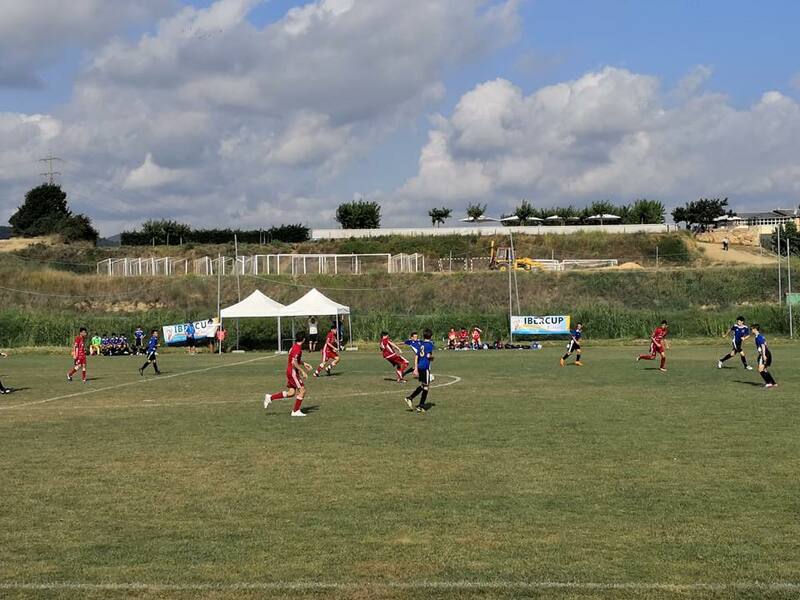 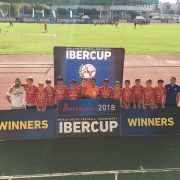 The following week he played the prestigious tournament of Ibercup, playing in 5 days a total of 8 games. 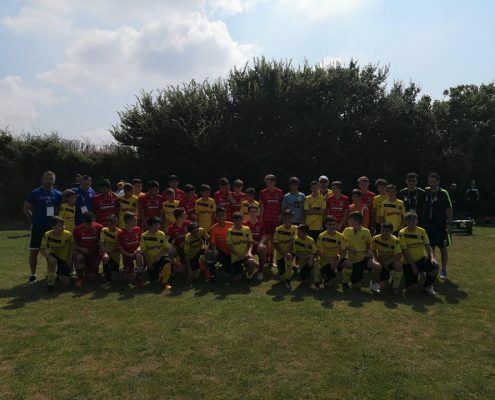 The rivals came from all over the world: USA, Portugal, France … FC Dallas was champion of tournament B. Congratulations! 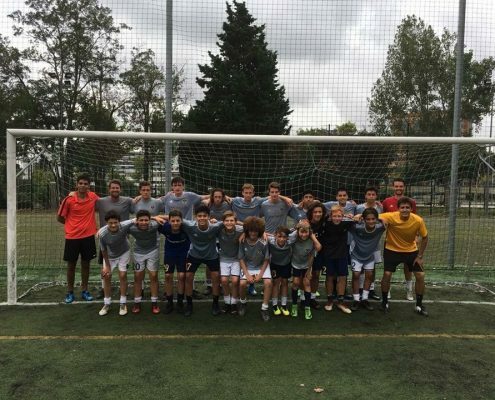 En el mes de marzo nos visitó Challenge Soccer, de los EEUU. 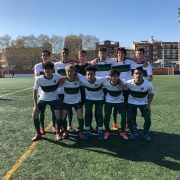 Fueron 8 días repletos de muchps planes con un tema principal, el fútbol. 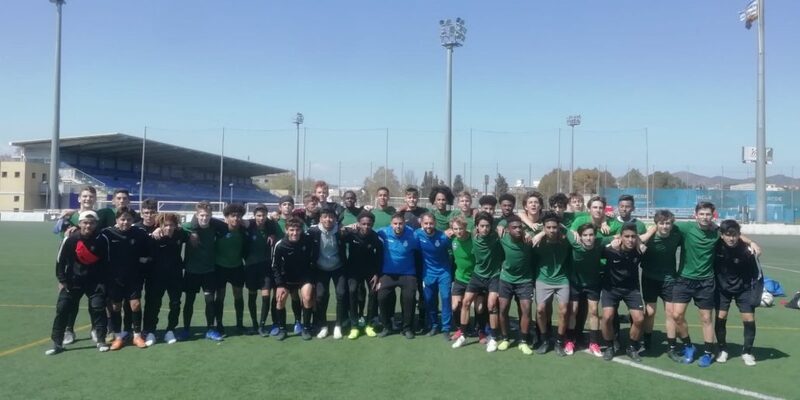 Disputaron 4 partidos y 3 entrenamientos con técnicos UEFA. 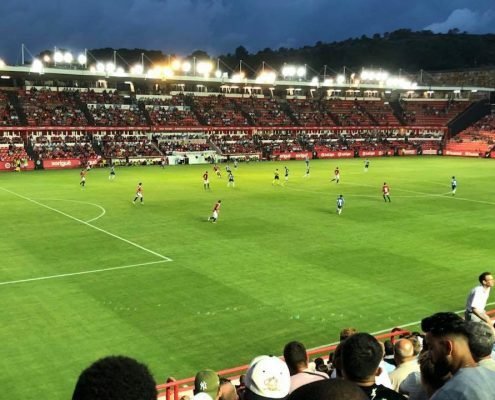 La actividad más importante fue poder ver en directo 3 partidos de equipos top. 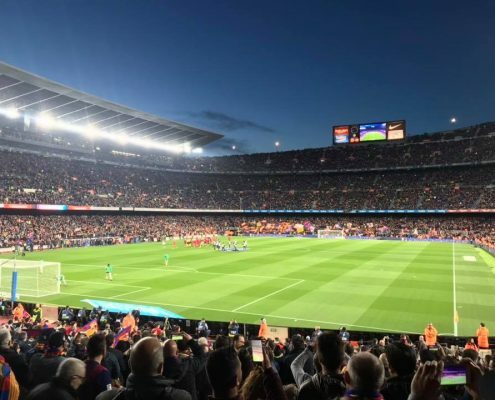 Barça-Chelsea de la Champions League fue el más destacado. 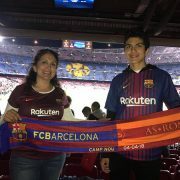 Uno de los partidos más atractivos del mundo. 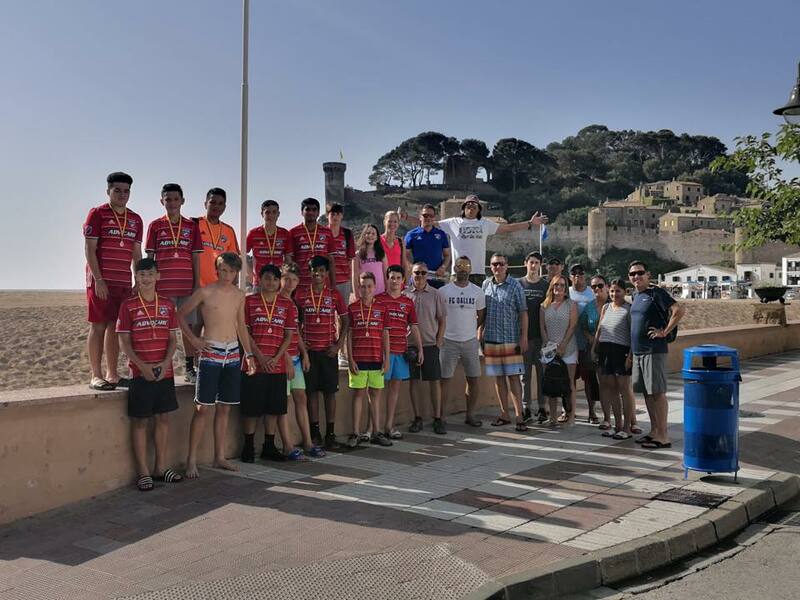 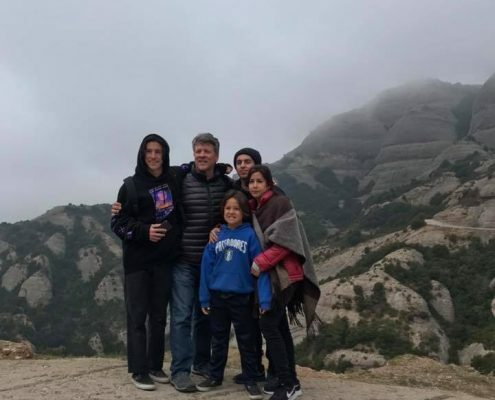 El tour finalizó con una fiesta con padres y jugaores donde se hizo entrega de los premios. 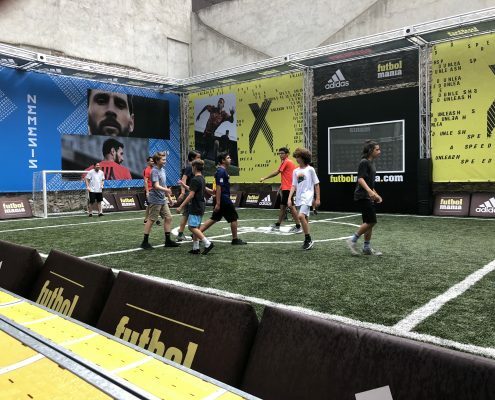 Nos vemos pronto Challenge Soccer!